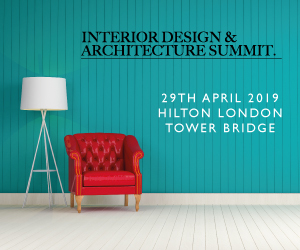 The highly anticipated inaugural Interior Design & Architecture Summit, which takes place on April 29 at London Hilton Tower Bridge, is now sold out. 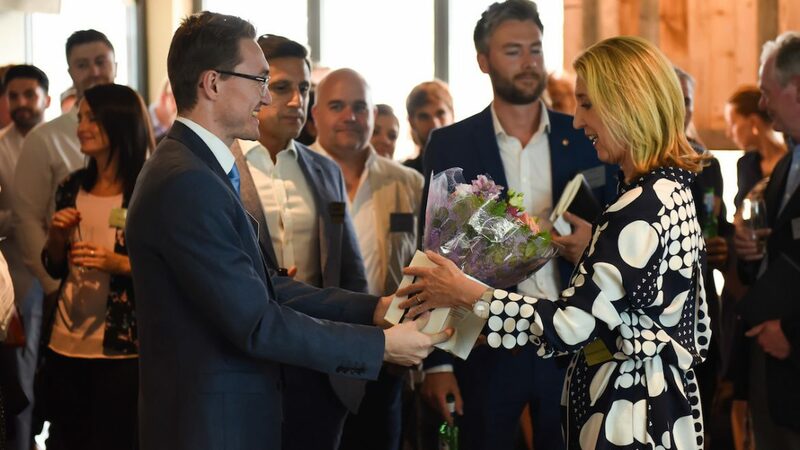 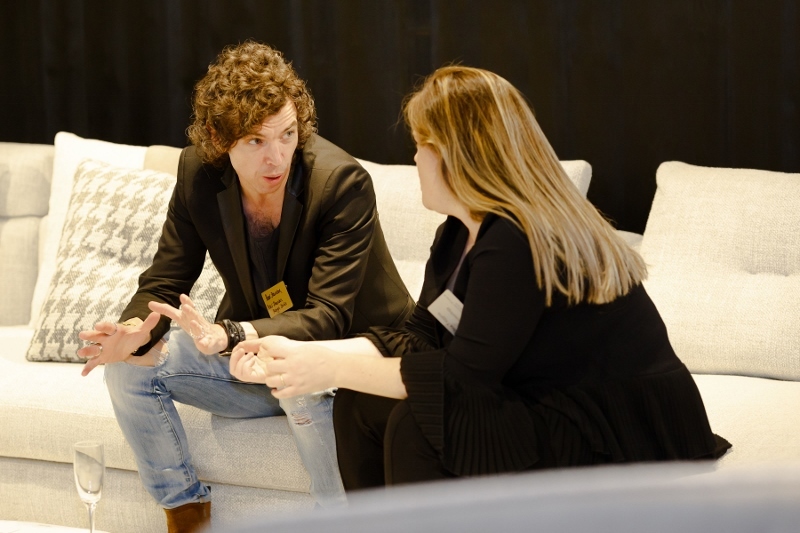 The event, of which its meet-the-buyer concept was born from the success of Hotel Summit, will allow leading designers and architects the ability to meet face-to-face with leading suppliers as well as enjoying a quality speakership programme, curated exclusively by Hotel Designs. 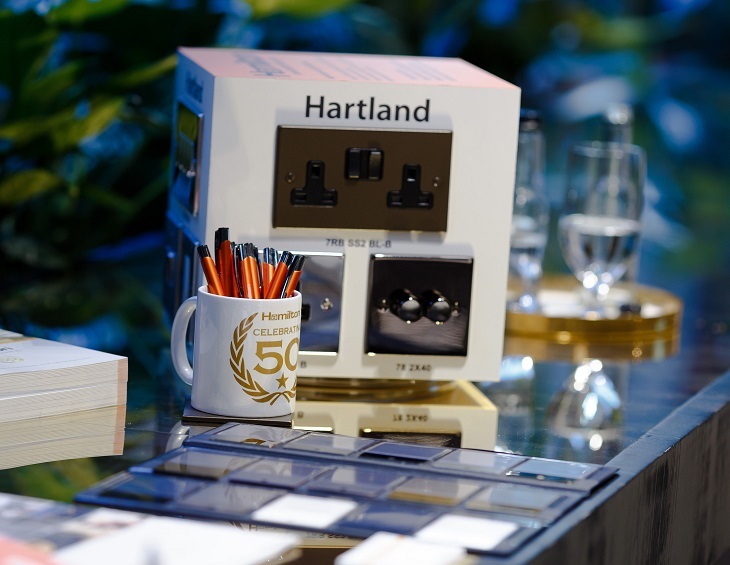 Ideavit, Marca Corona, Graphica Display, Tribu, Atlas Concordem, Hamilton Litestat, Timage, Wandsworth, KKDC, Bisque, Aqualisa, Project Blinds, Domkapa, Portview Fitout, CP Parquet, James Alexander, Majestic Showers, Sox Furniture, O’Donnell Funiture, CTD Architectual tiles, Gessi, North Made, Moleta Murno, Covers, Hand & Mouth, ITC, Natural Flooring, Cole & Son, Versa Wallcoverings, Wood Flooring & Accessories, Mitre Linen, Sofa.com, Muzeo, Bridgeman Images, Edmund Bell & Co. 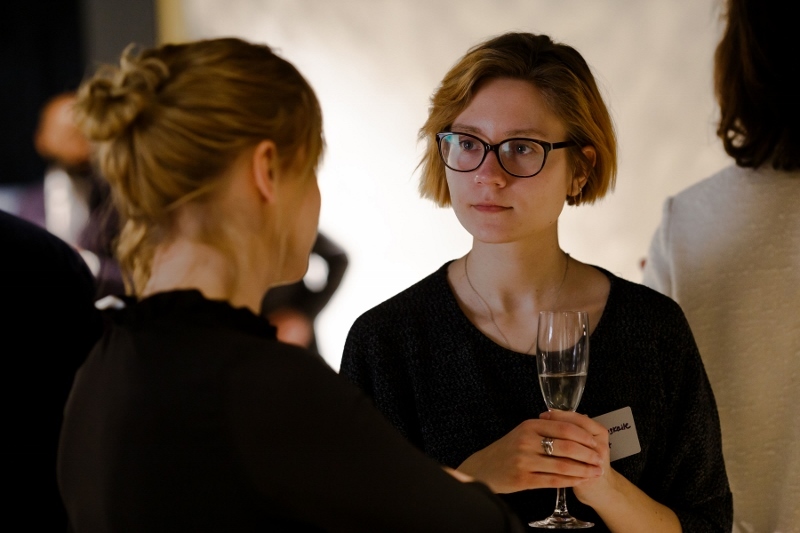 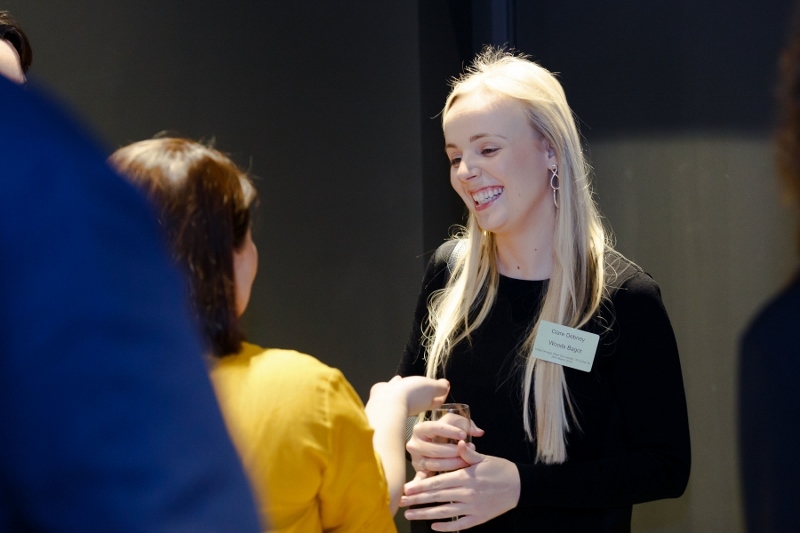 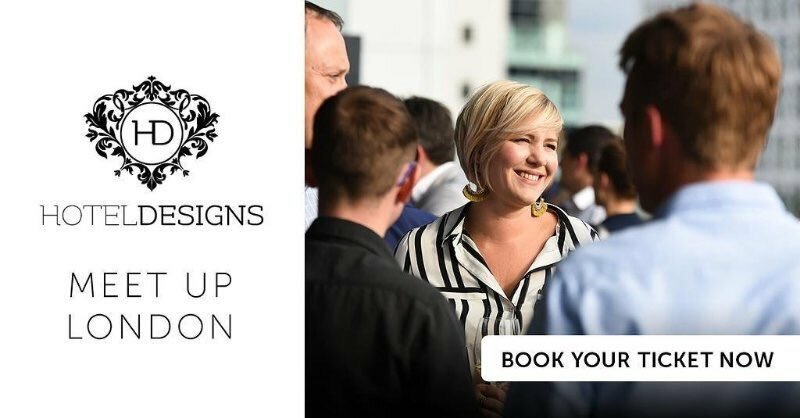 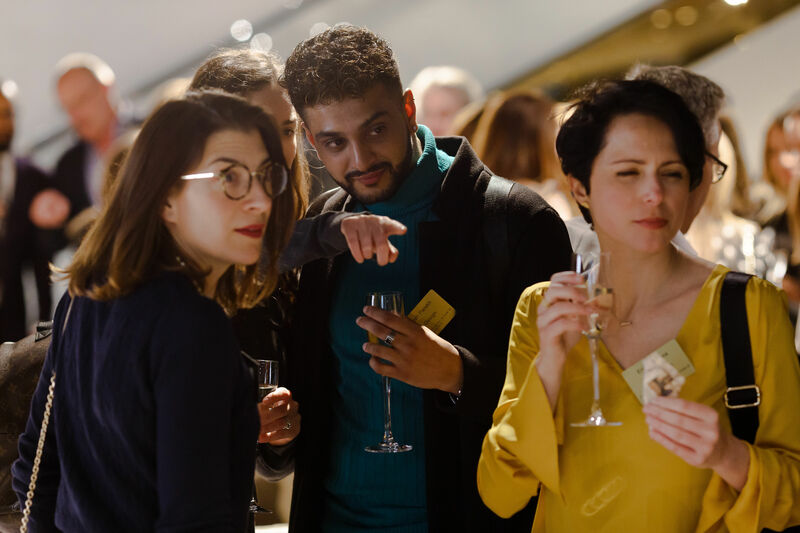 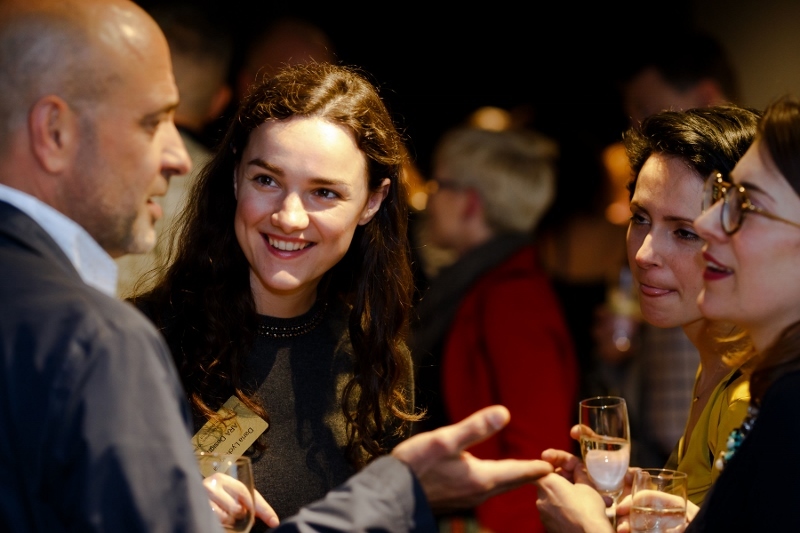 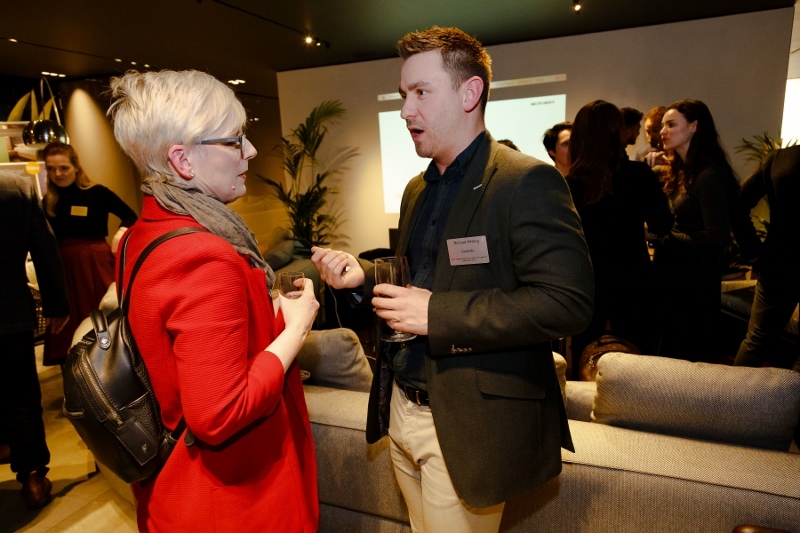 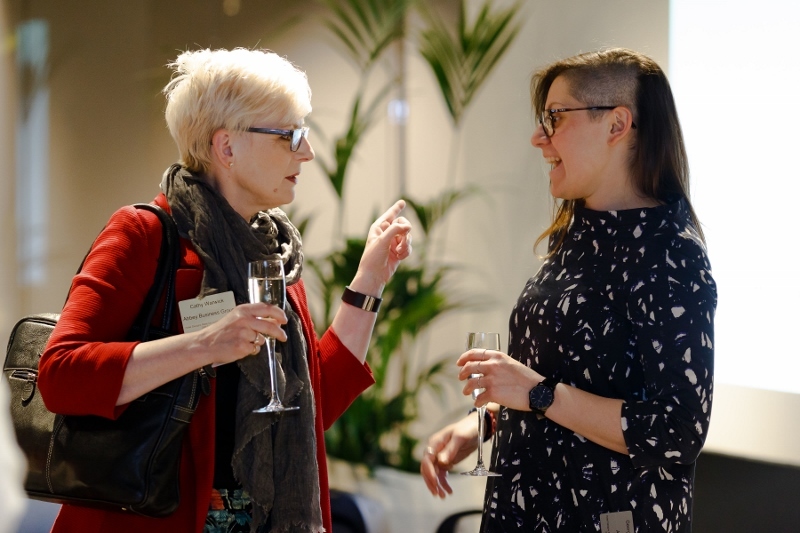 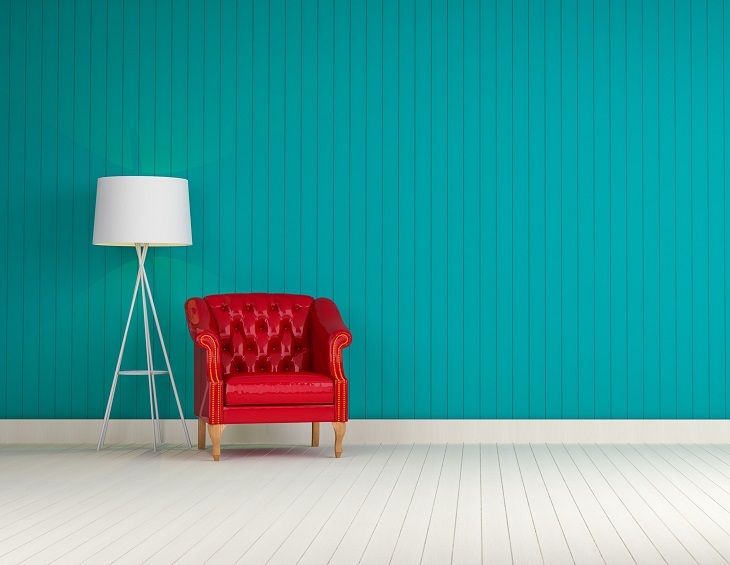 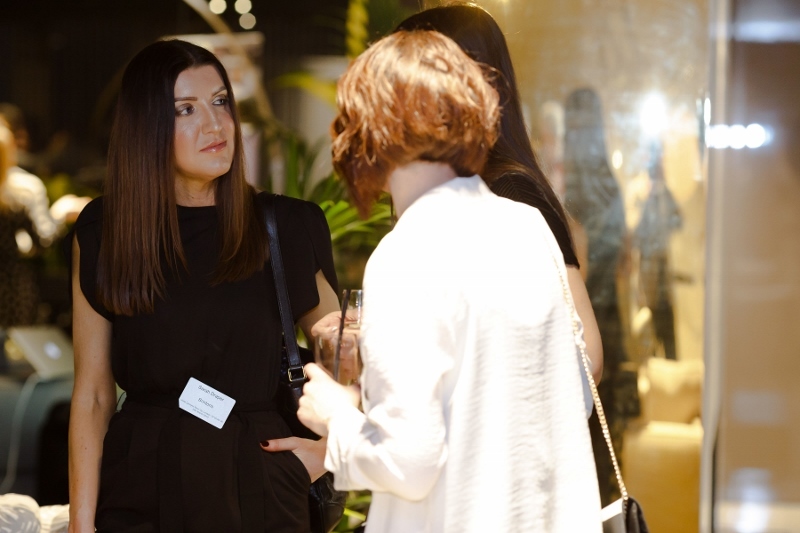 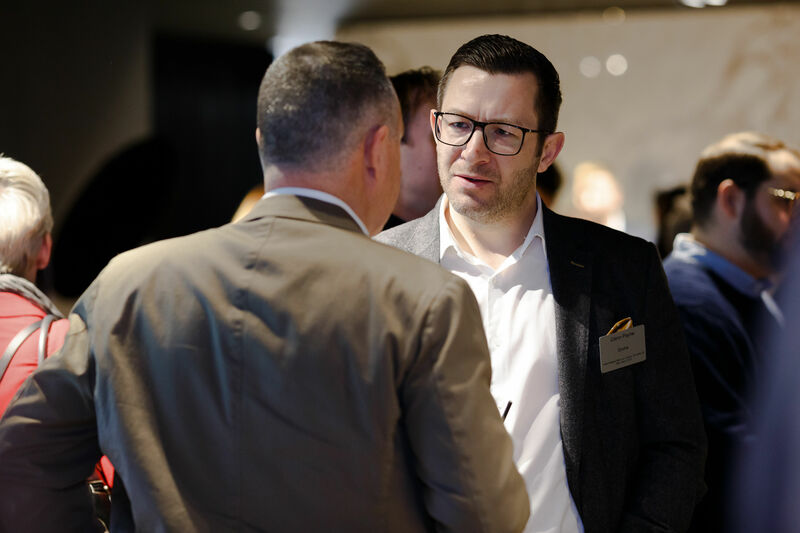 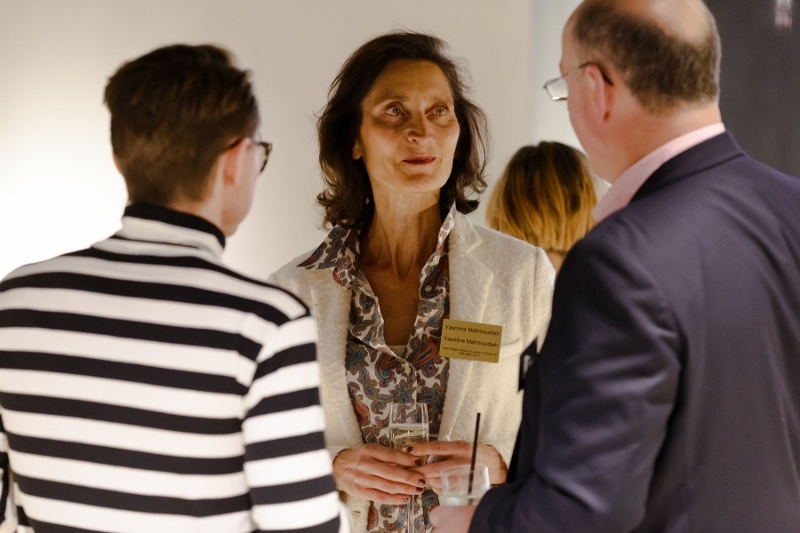 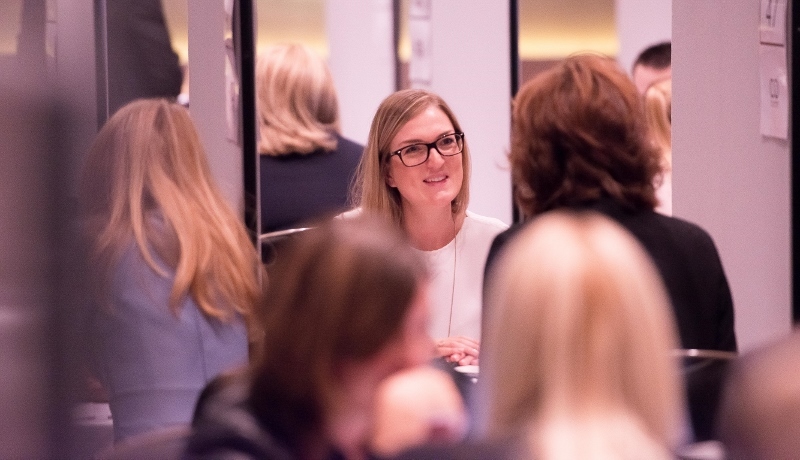 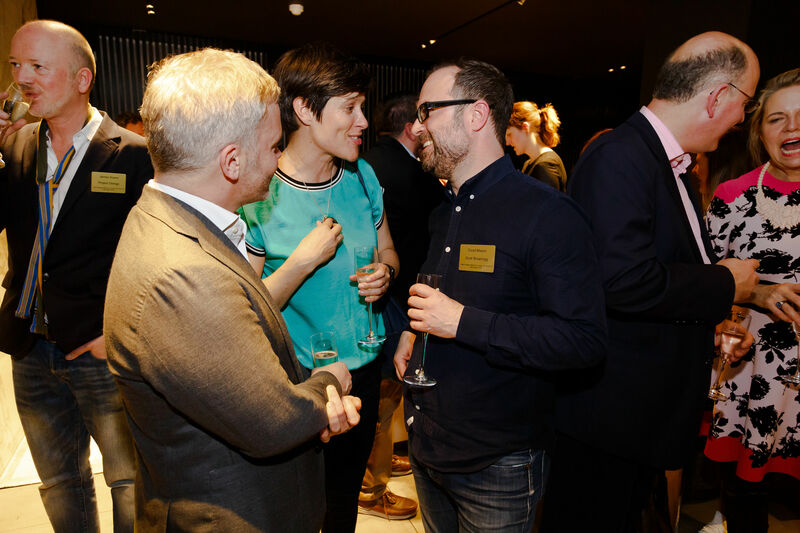 Interior Design & Architecture Summit is a one-day event, designed to connect senior executives working within the sector with product and service suppliers for face-to-face meetings and business networking. 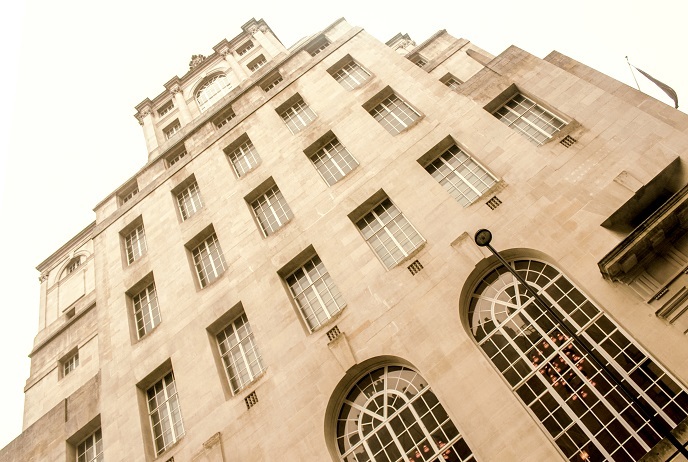 For those who are attending, the full agenda for the day can be accessed here. 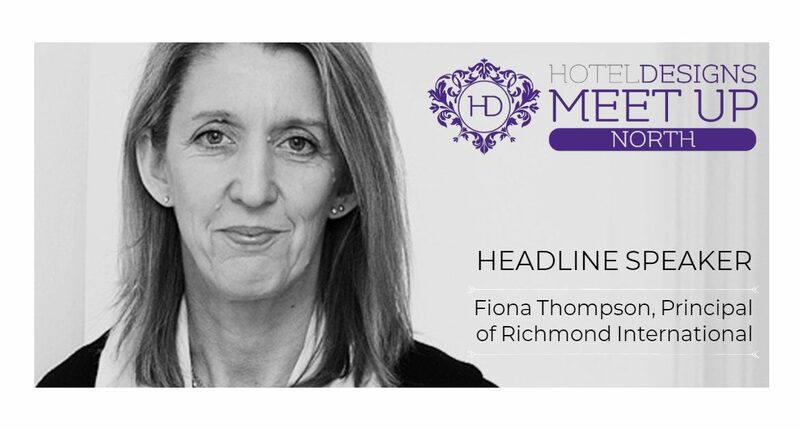 Despite the event now being sold-out, there are still spaces available for both suppliers and delegates wishing to attend Hotel Summit, which is specifically organised for senior professionals who are directly responsible for purchasing and procurement within their organisation, and those who provide the latest and greatest products and services within the sector. 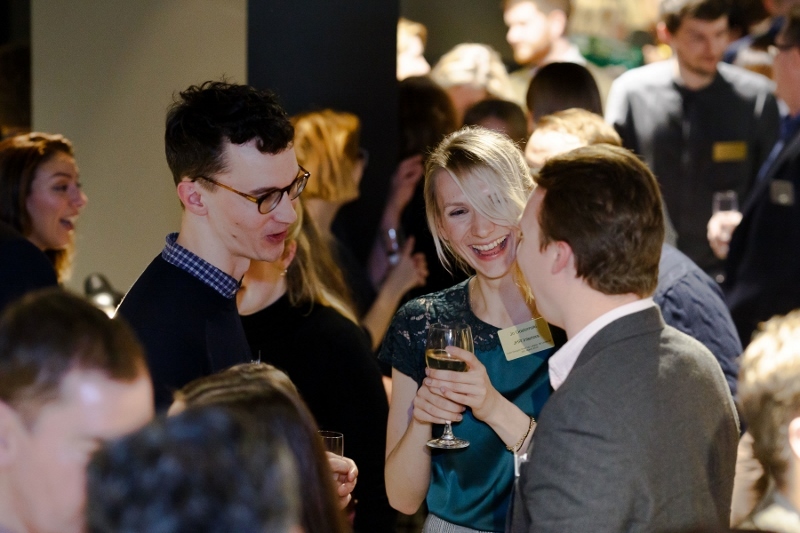 MEET UP LONDON: 1 Week to go! 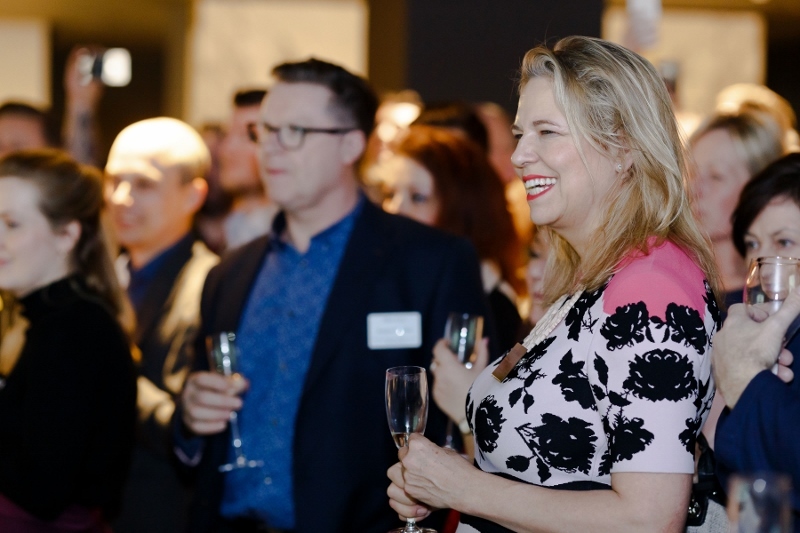 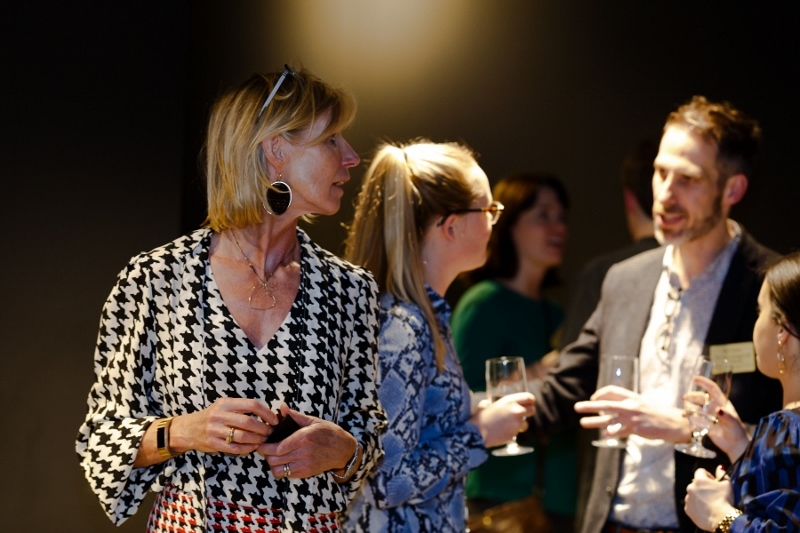 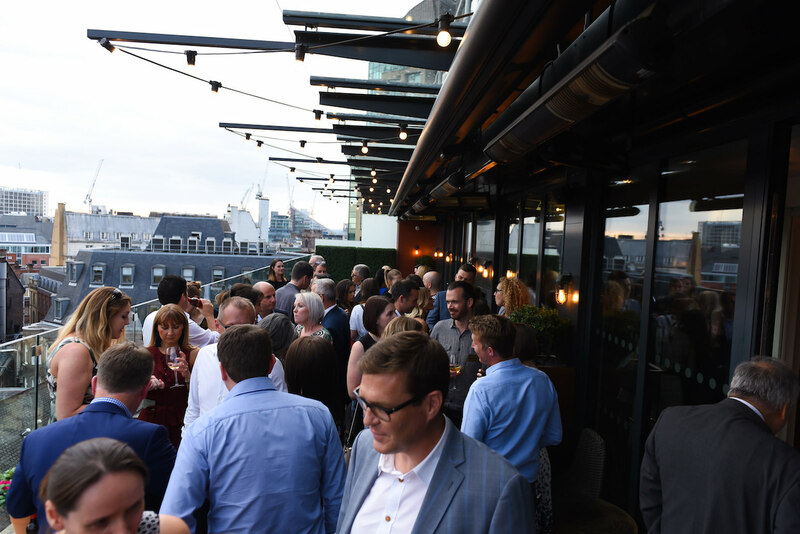 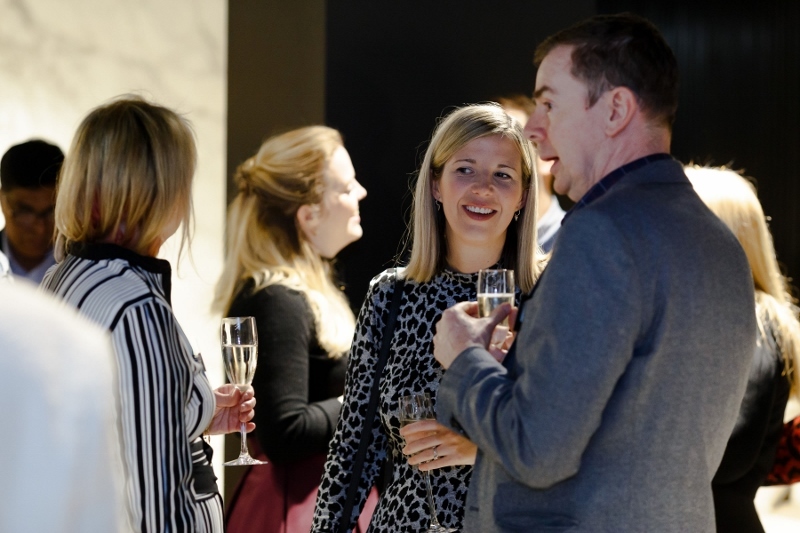 With just one week to go until Hotel Designs takes centre stage to host its Q1 networking evening, time is running out to purchase your tickets. 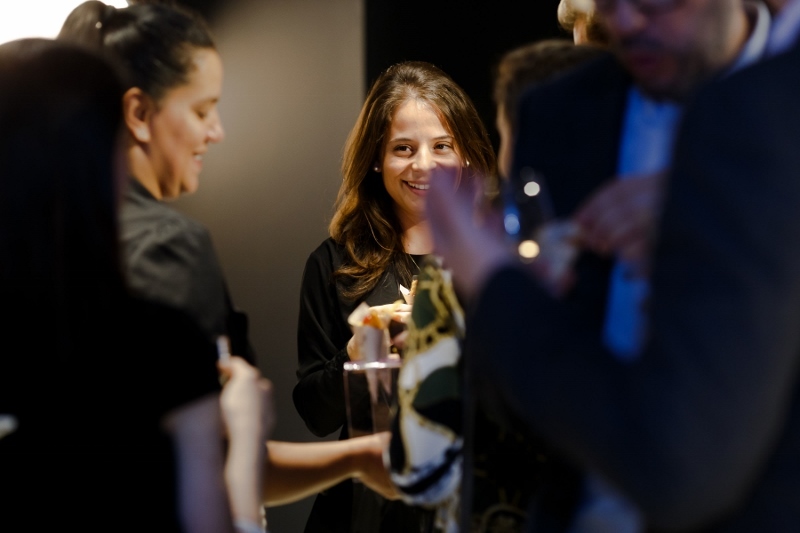 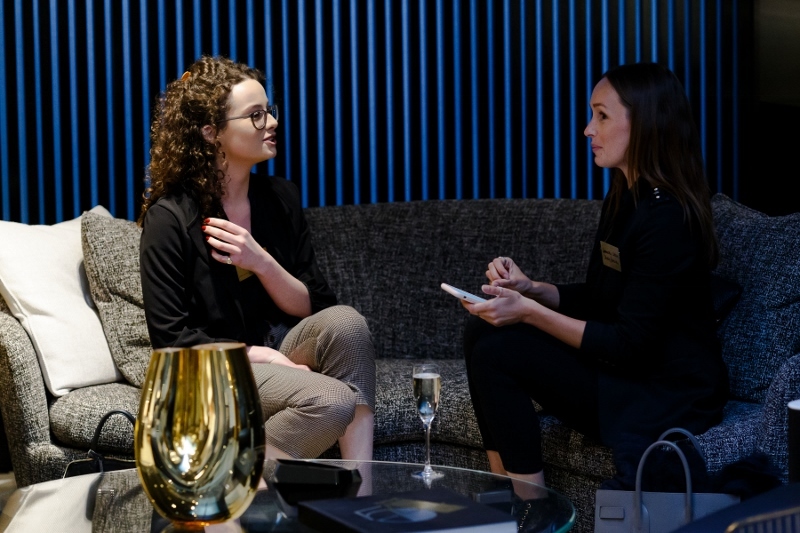 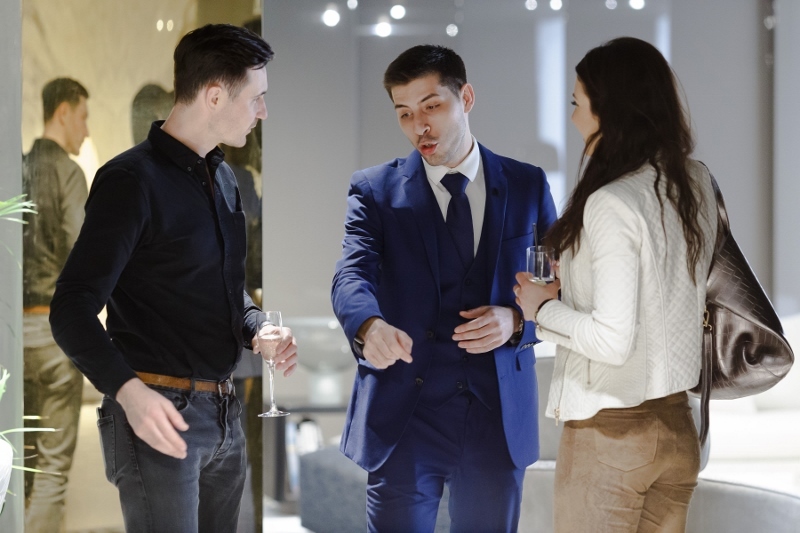 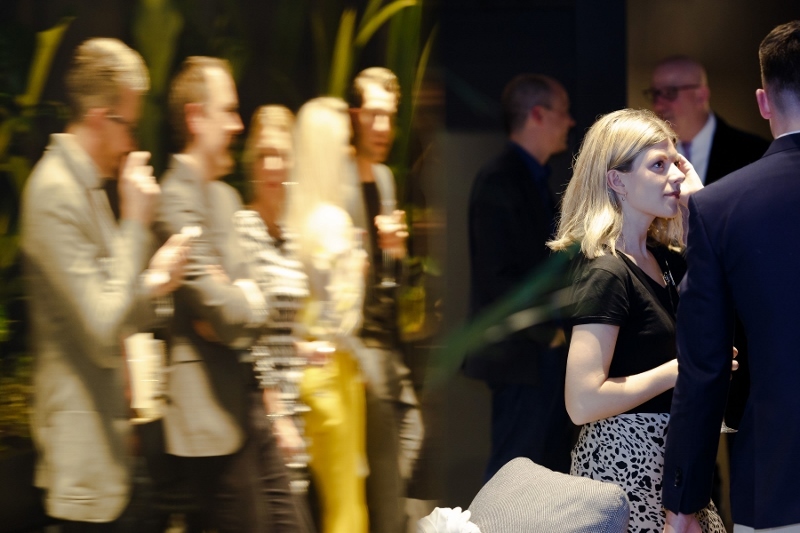 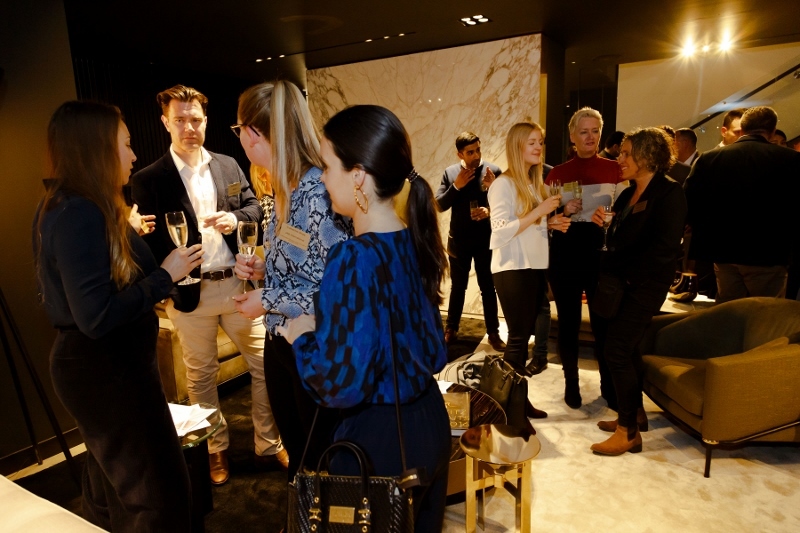 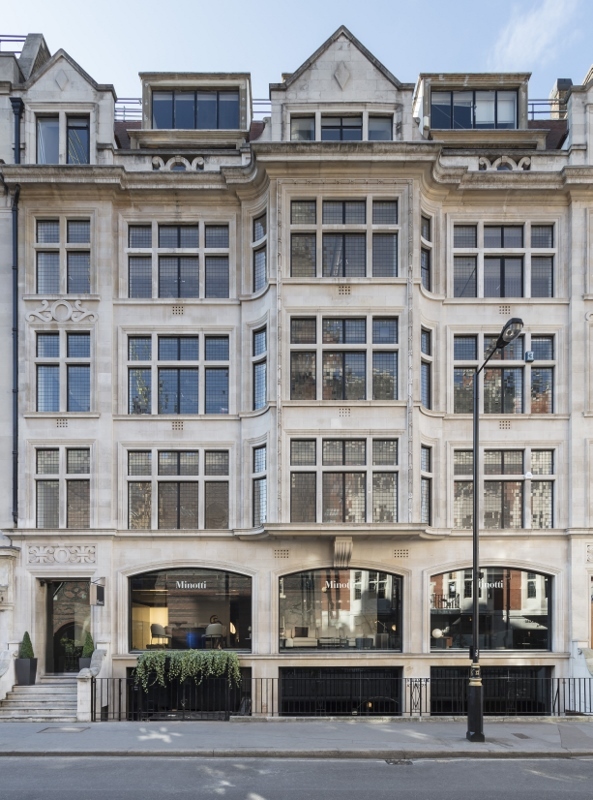 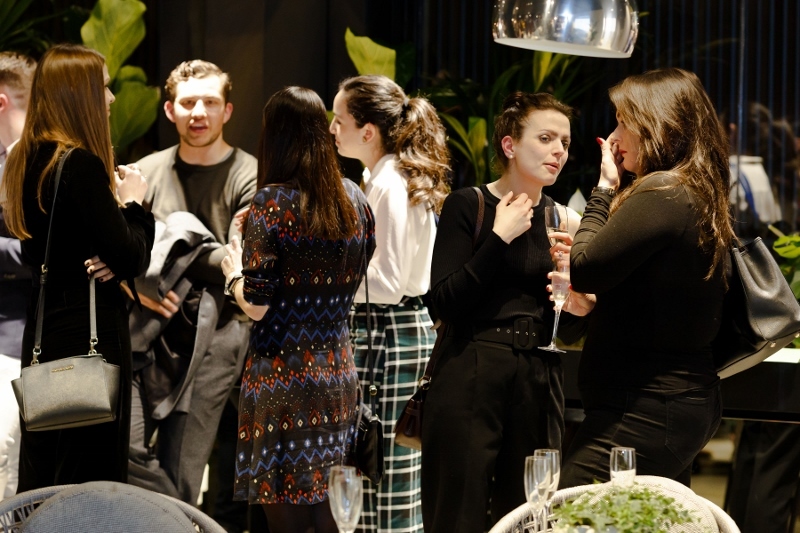 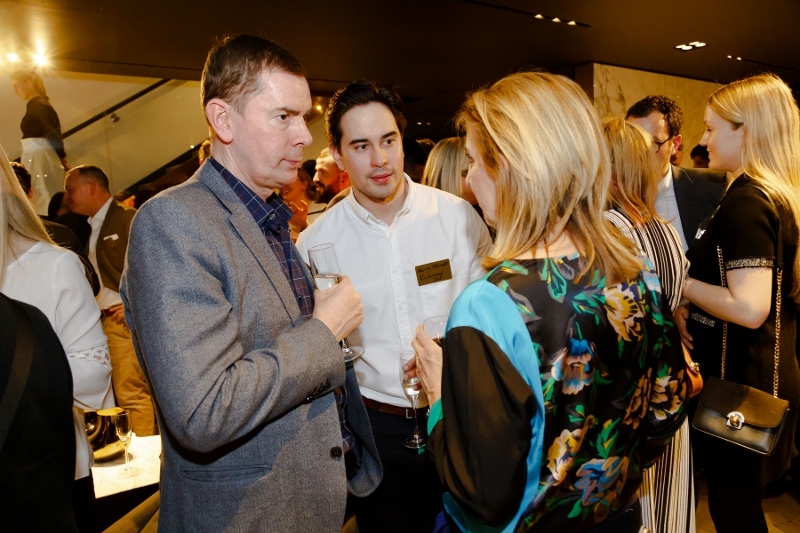 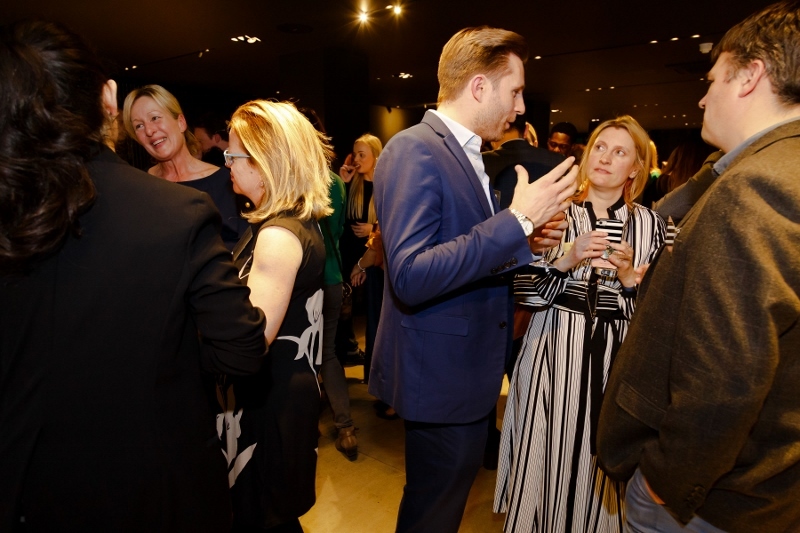 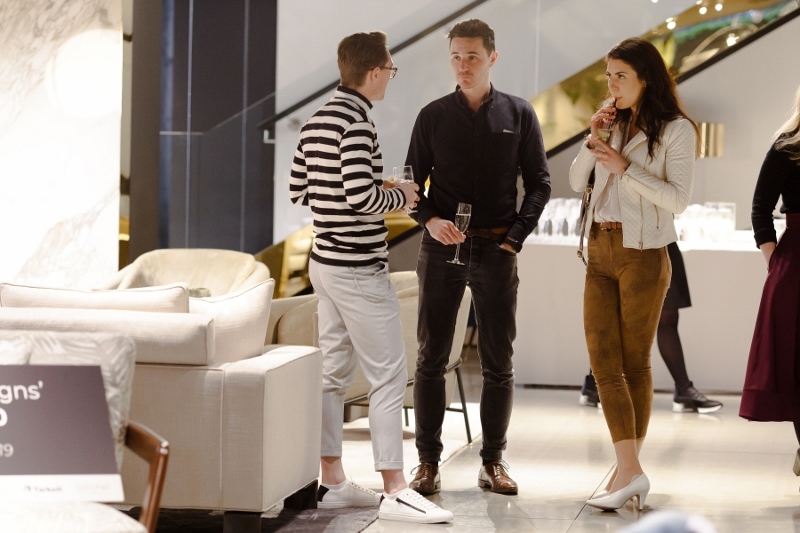 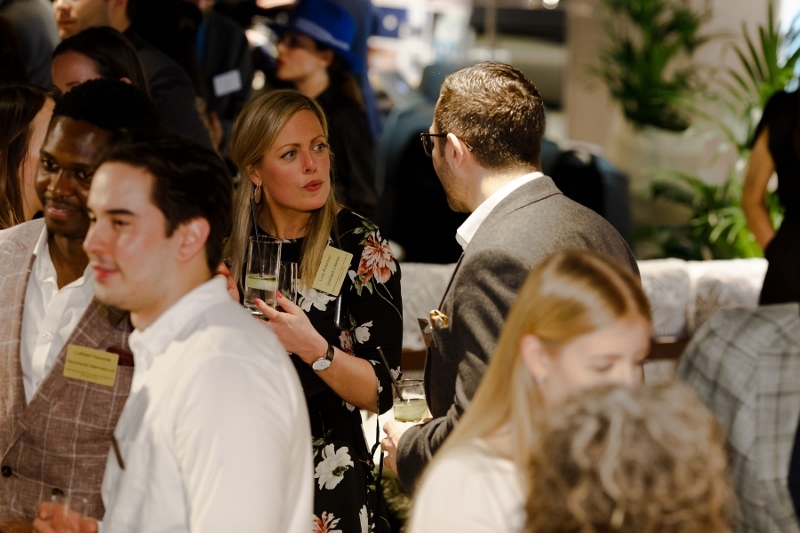 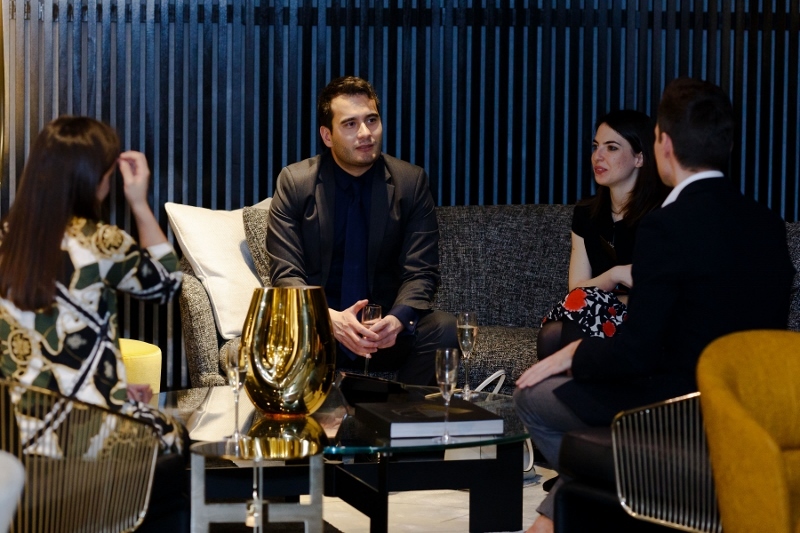 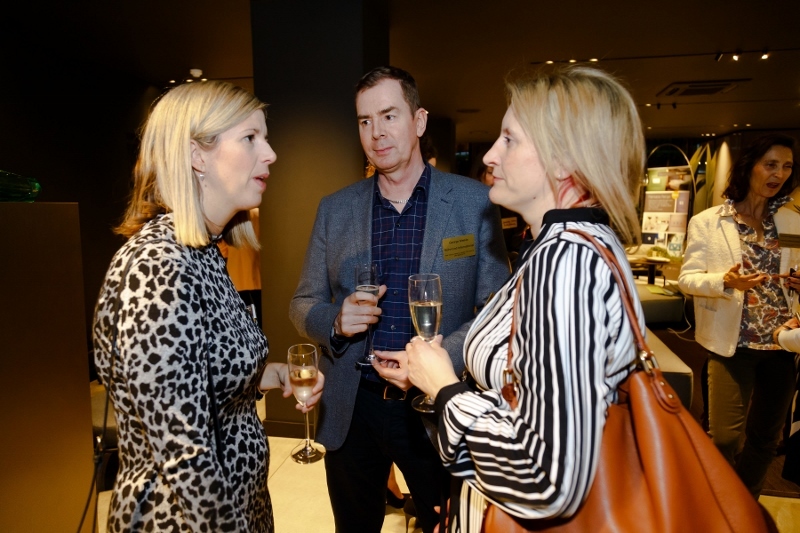 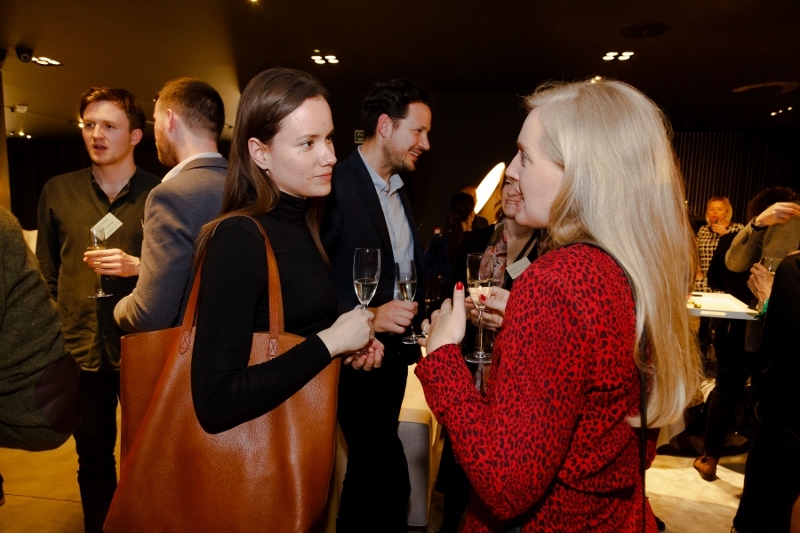 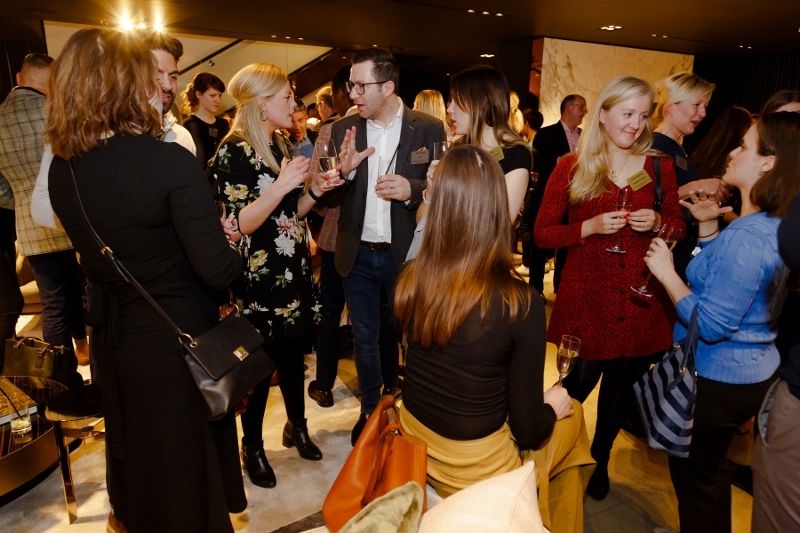 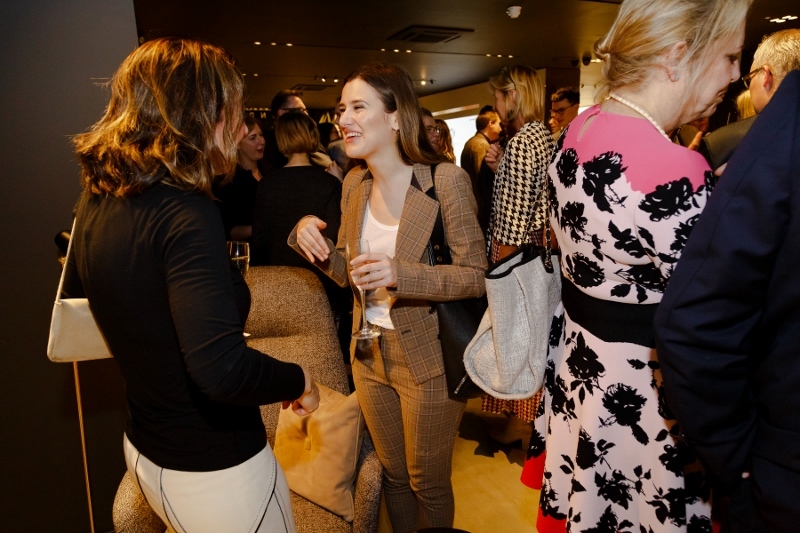 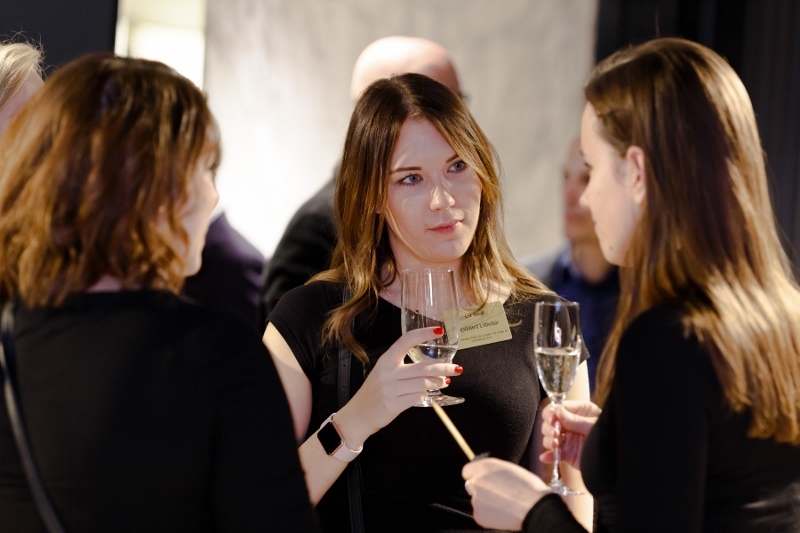 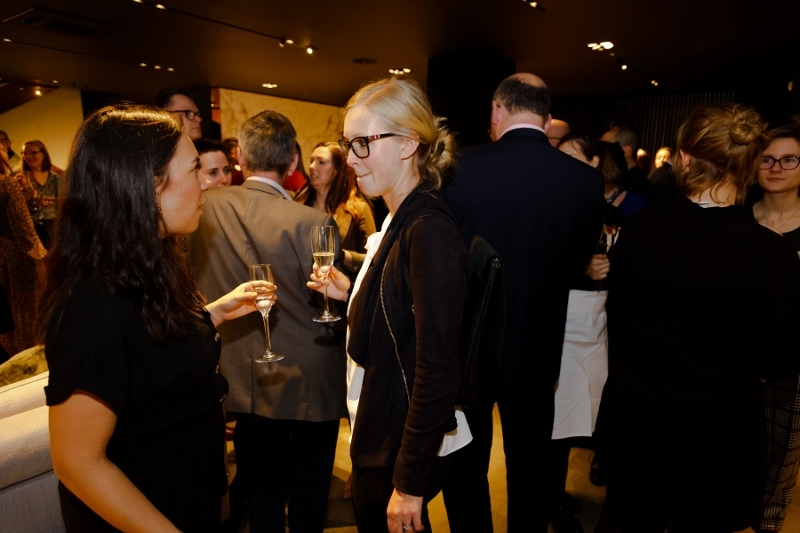 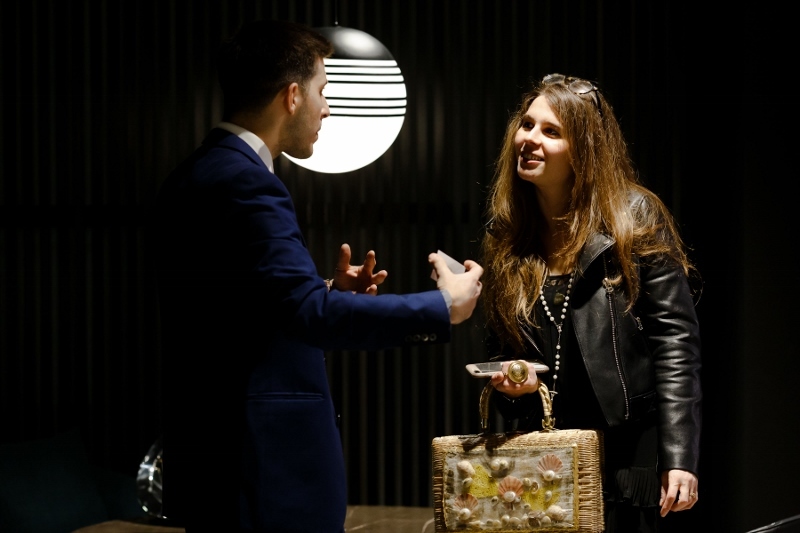 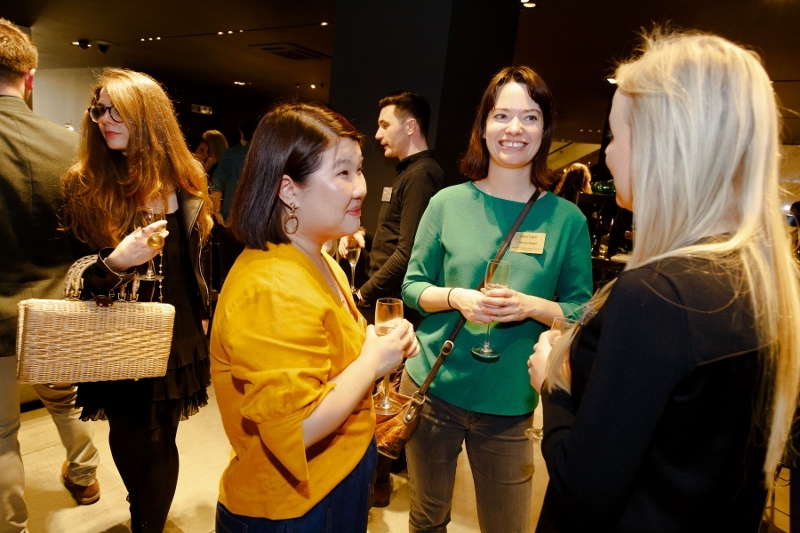 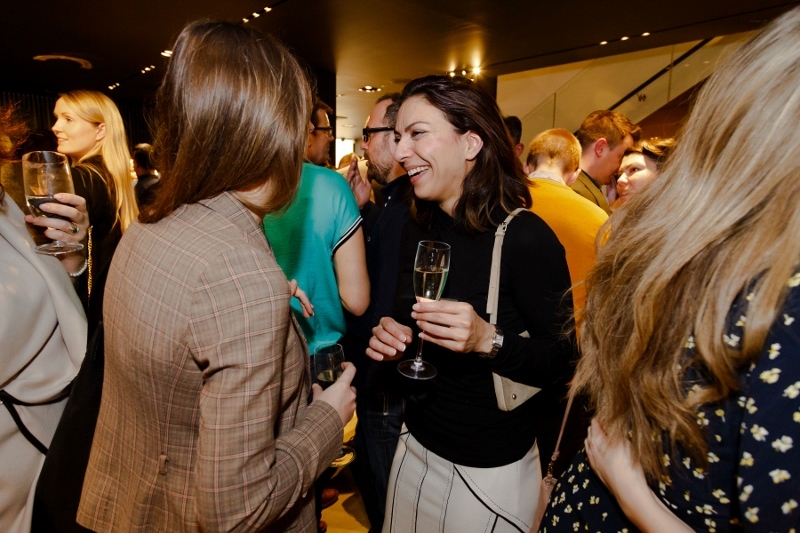 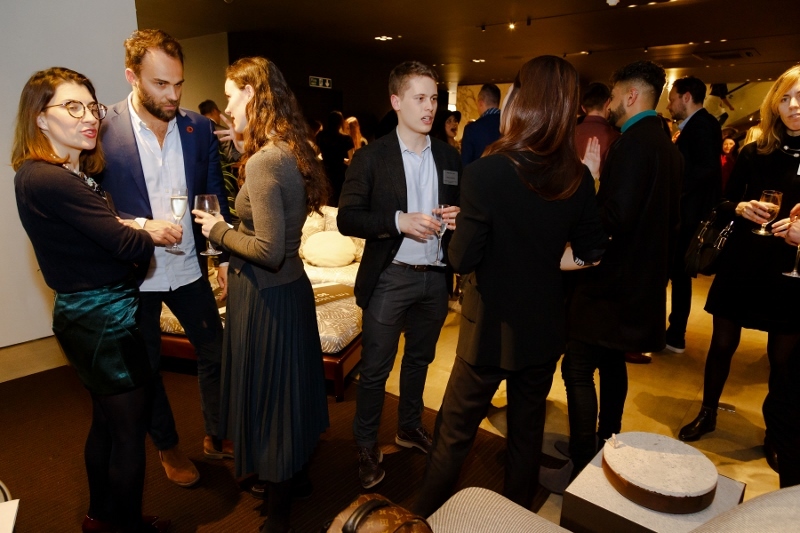 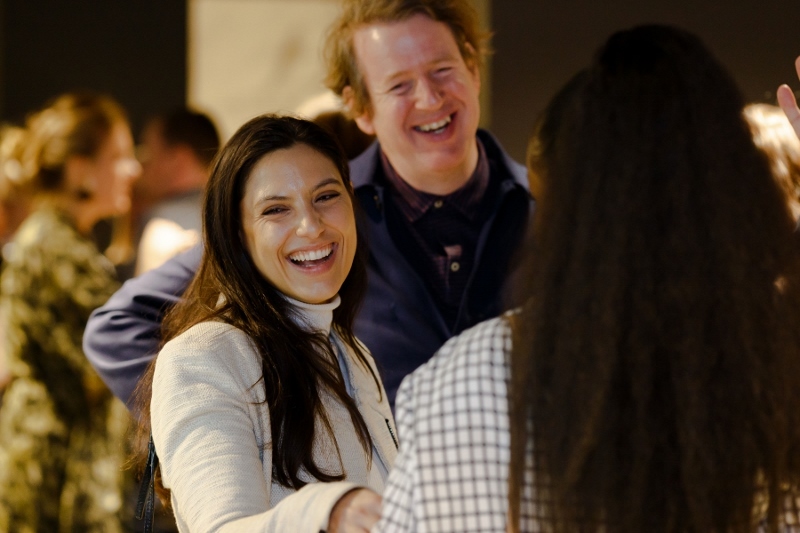 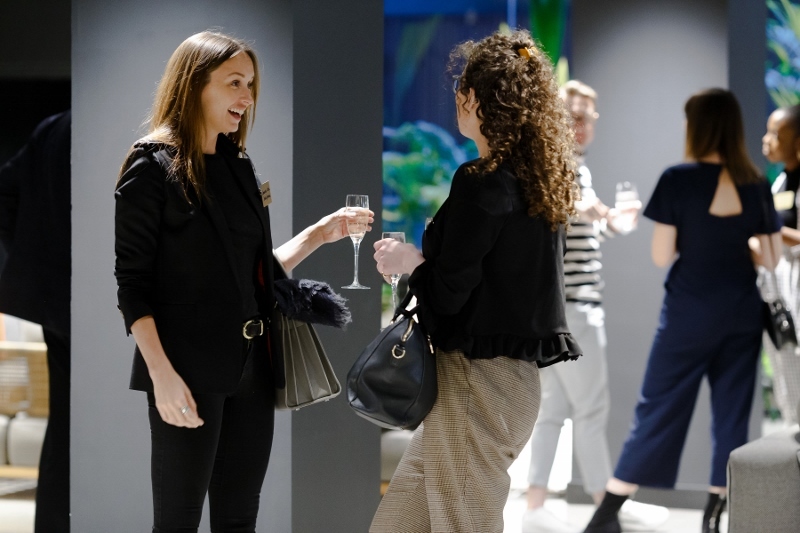 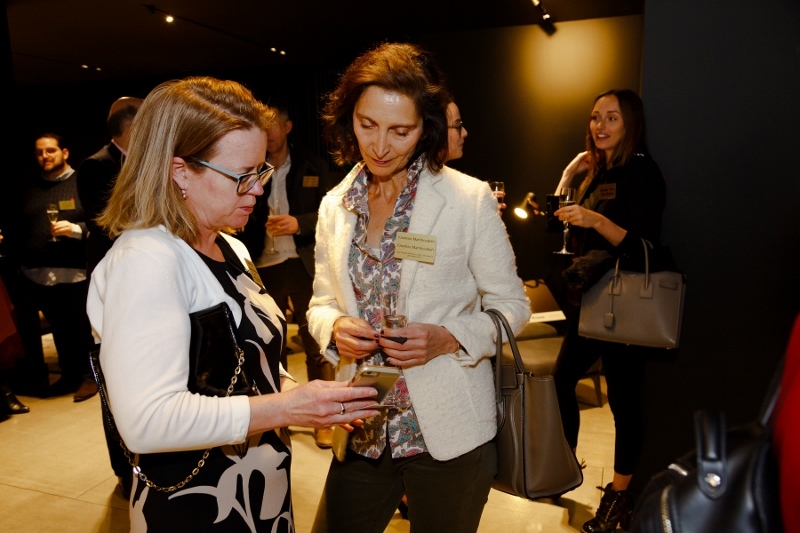 Meet Up London, which takes place on March 28 at Minotti London’s showroom, will be attended by leading designers, architects, hoteliers and key-industry suppliers. 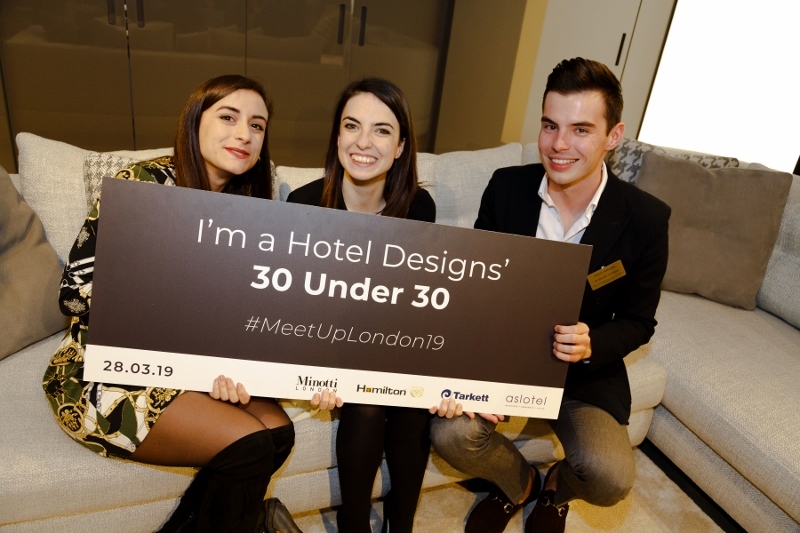 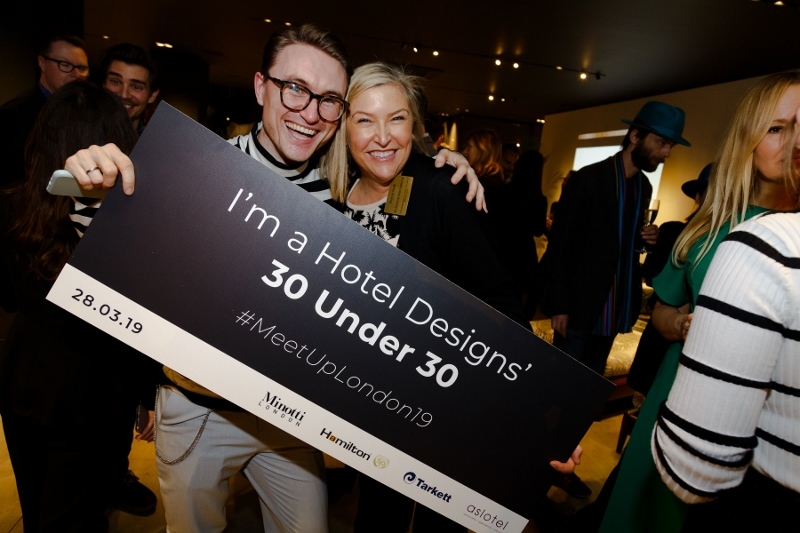 Unique to this year, the event will also host the final of Hotel Designs’ 30 Under 30 initiative and all 40 shortlisted finalists have been invited, courtesy of Hotel Designs in order to help bridge the age gap in international hotel design with equal networking opportunities for all in the hotel design community. 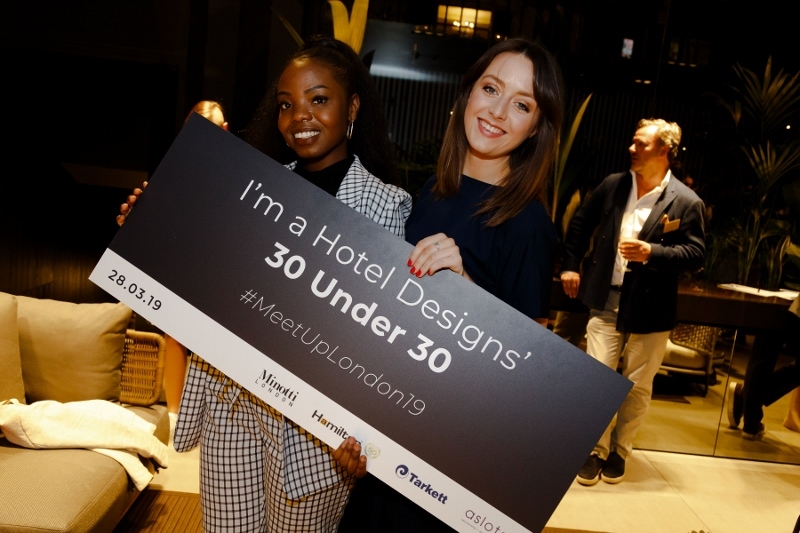 RPW Design, Conrad and Partners, John Simpson Architects, Dorchester Collection and Benjamin West are all among the companies that have confirmed their attendance over the last few days. 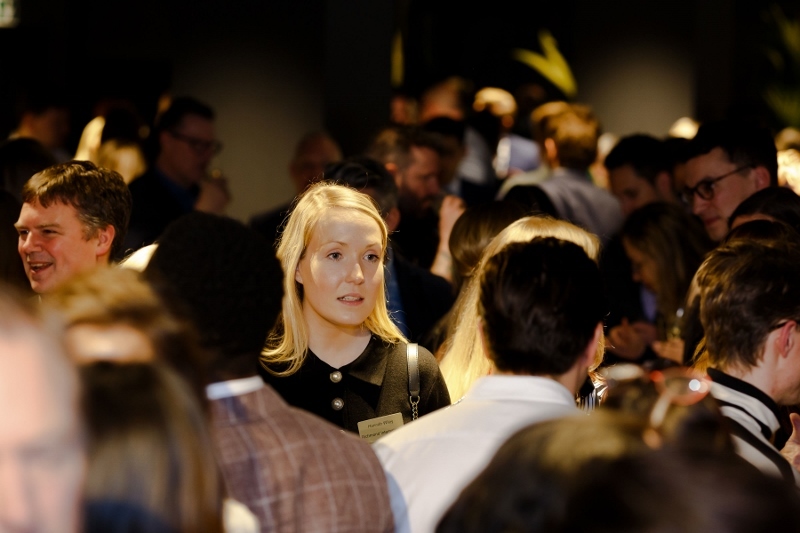 For more information about becoming a Meet Up London sponsor, please contact Zoe Guerrier on 01992 374059 or email z.guerrier@forumevents.co.uk. 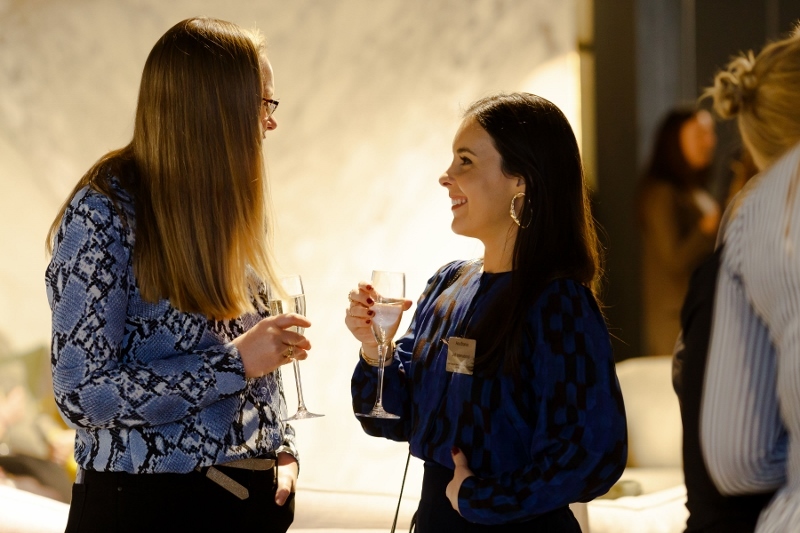 Following last year’s sold-out event, Hotel Summit, which returns this year in a new home to provide an unmatched networking opportunity for hoteliers and leading suppliers, has announced its first line-up of hotel suppliers. 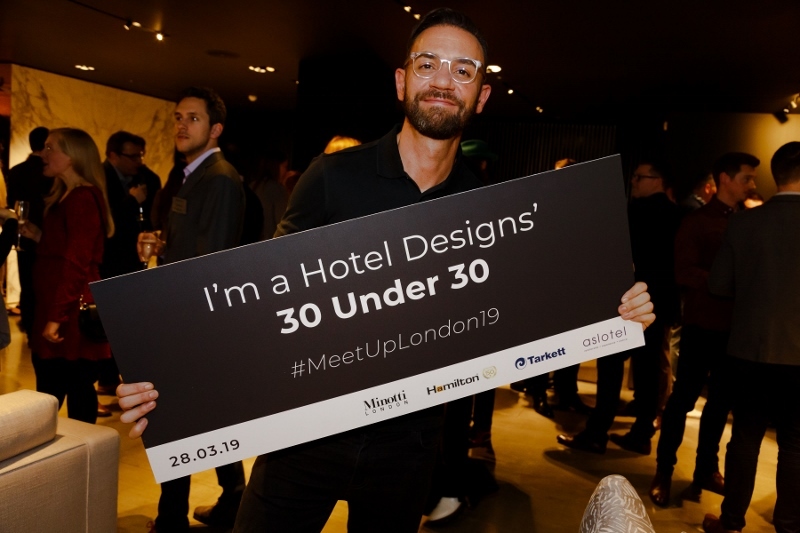 Among the confirmed suppliers that will attend this year’s highly anticipated Hotel Summit are Mitre Linen, Viridor, Portable Floormaker, Zennio, Airwave and Birchall Tea. 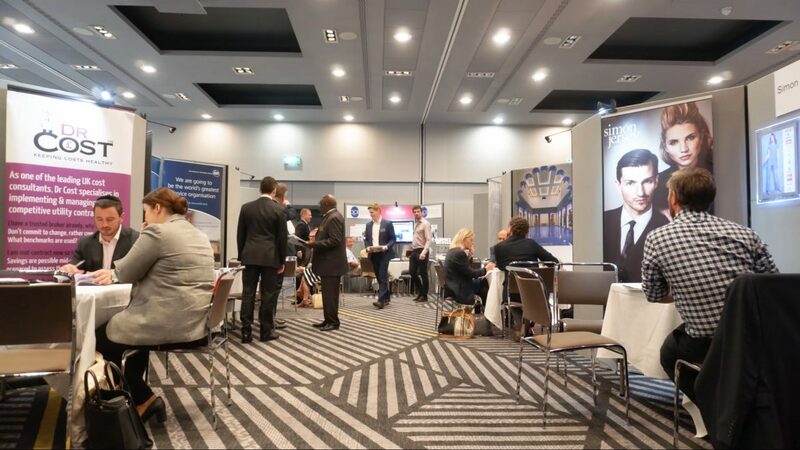 The Summit, which this year celebrates its 21st anniversary, is specifically organised by Forum Events for senior professionals who are directly responsible for purchasing and procurement within their organisation, and those who provide the latest and greatest products and services within the sector. 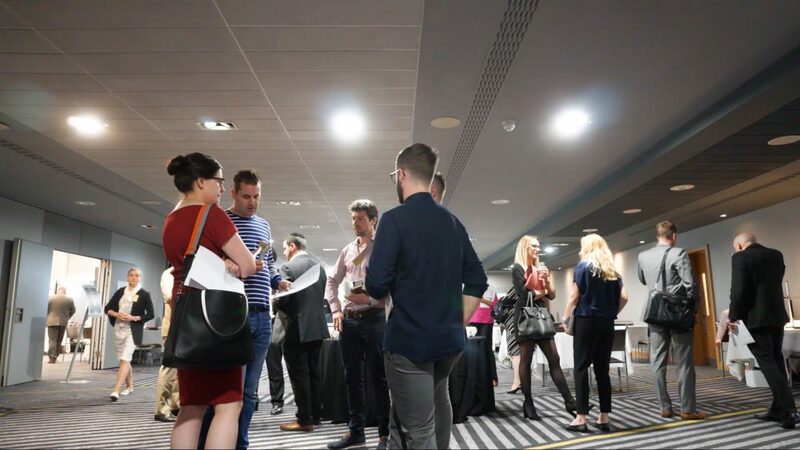 Over just two days, the highly focused event consists of pre-arranged one-to-one business meetings, interactive seminars and valuable networking opportunities throughout. 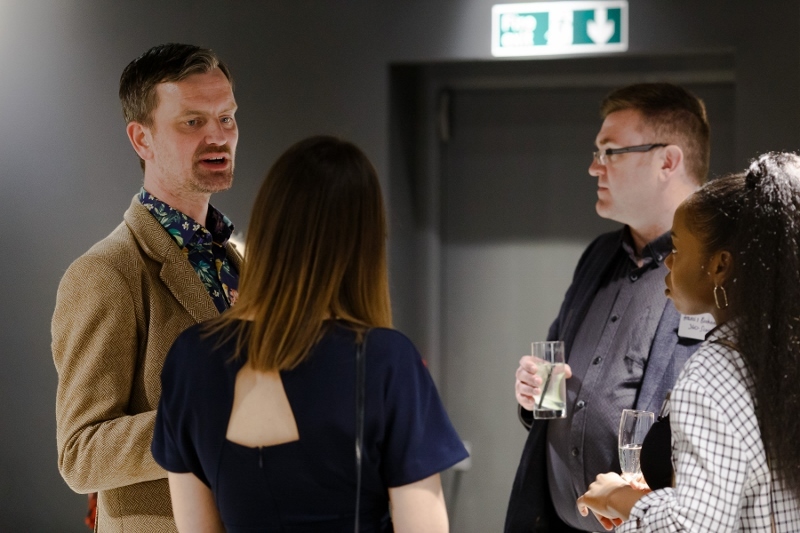 If you are an architect or interior designer and would like to attend the Summit, please contact Liam Cloona on l.cloona@forumevents.co.uk – or click here to book your place. 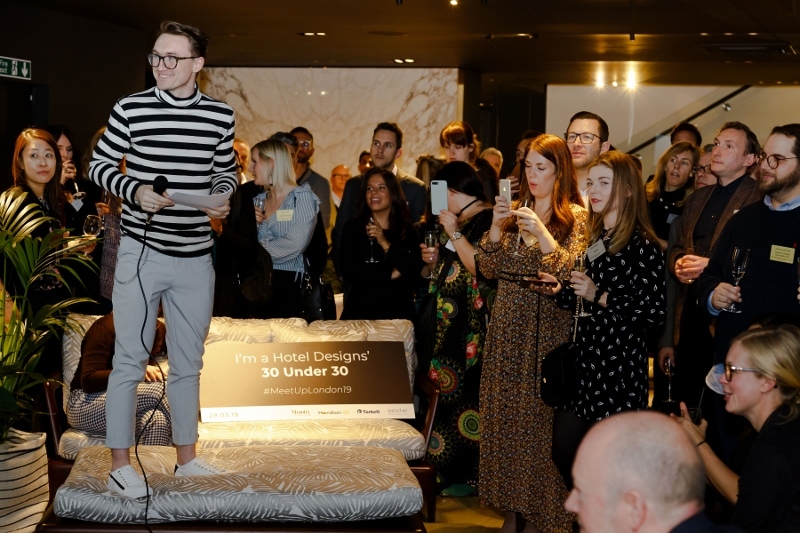 Following the announcement that HBA London’s creative director will be the headline speaker at the Interior Design & Architecture Summit (IDAS), the event has unveiled its exclusive panel discussion, which will take place on April 29 at Hilton Tower Bridge. 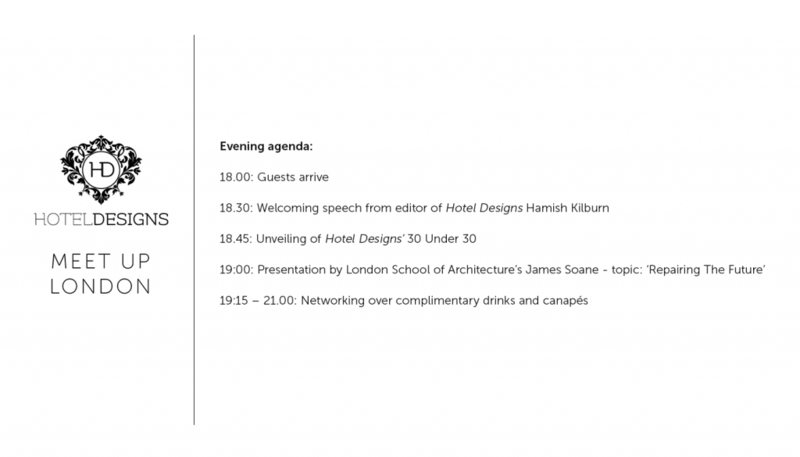 Bringing together a handful of leaders and visionaries in both the interior design and architecture sphere, the session entitled The Rising Ceiling of Creativity will discuss areas such as the creative boundaries within interior design and architecture as well as looking at how designers and architects can inject flair while working within a budget. 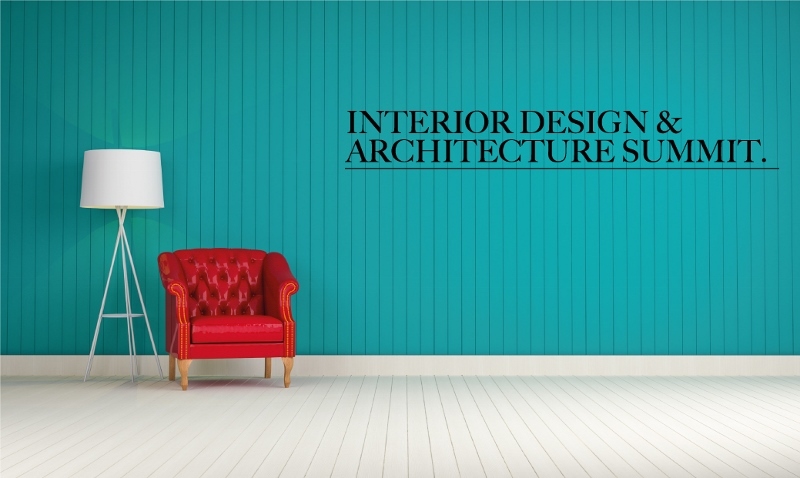 Gilly Craft started Koubou Interiors in 2004 after graduating with a Diploma in Interior Design with Distinction in 2002. 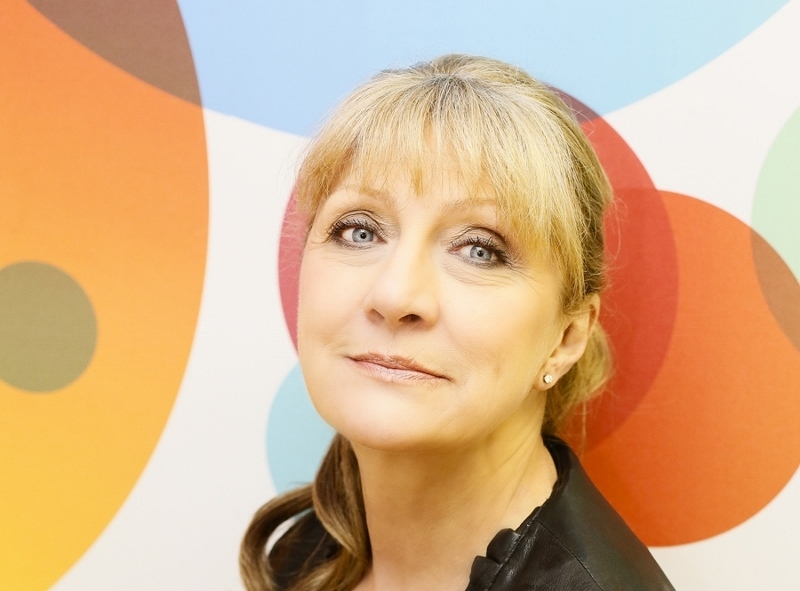 She is the current President of the British Institute of Interior Design and was previously the CPD Director at the Institute. 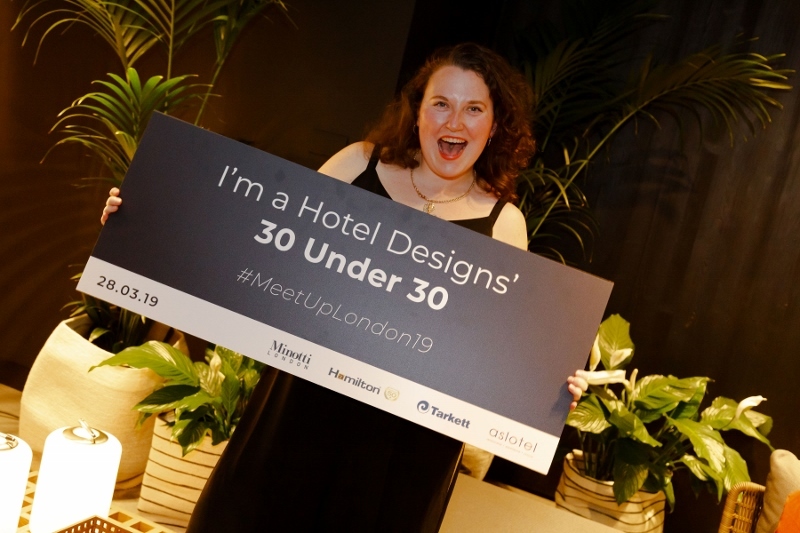 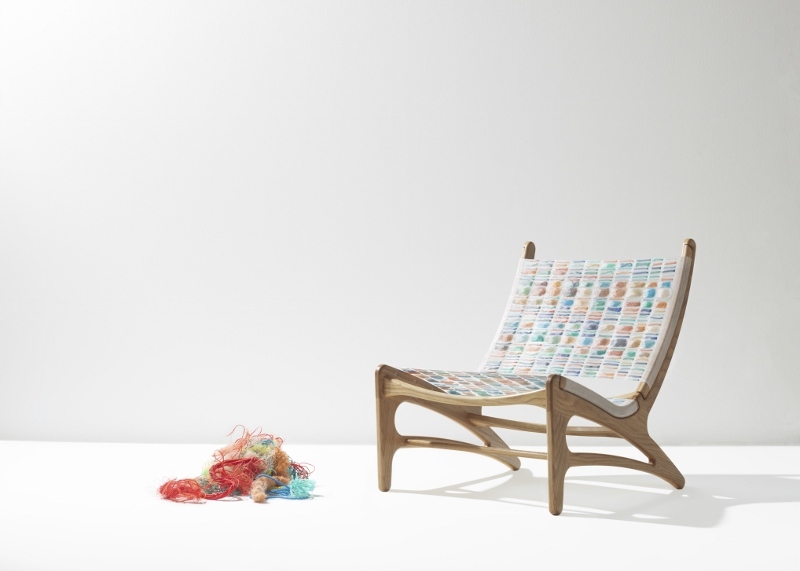 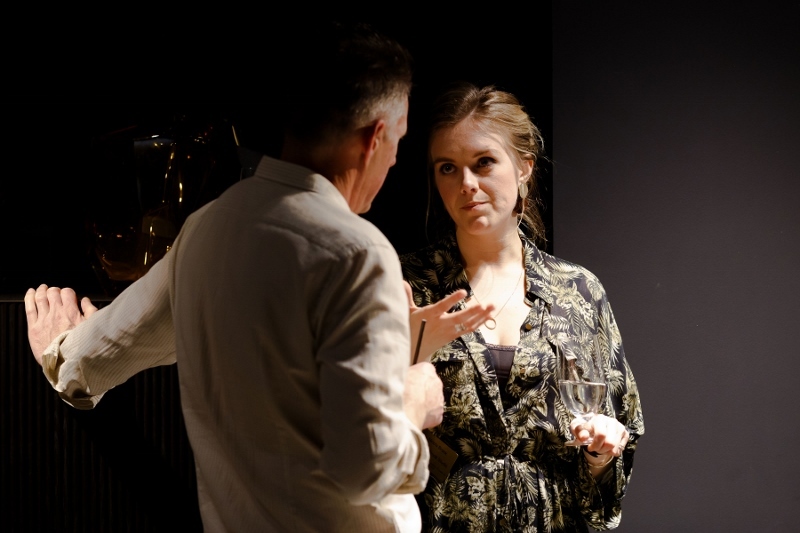 Craft, who exhibited the Hotel Room of the Future last year at the Independent Hotel Show London, has been a lecturer in Interior Design for her local and other colleges and a guest speaker for a number of years especially speaking on the subject of designing for special needs to include dementia. 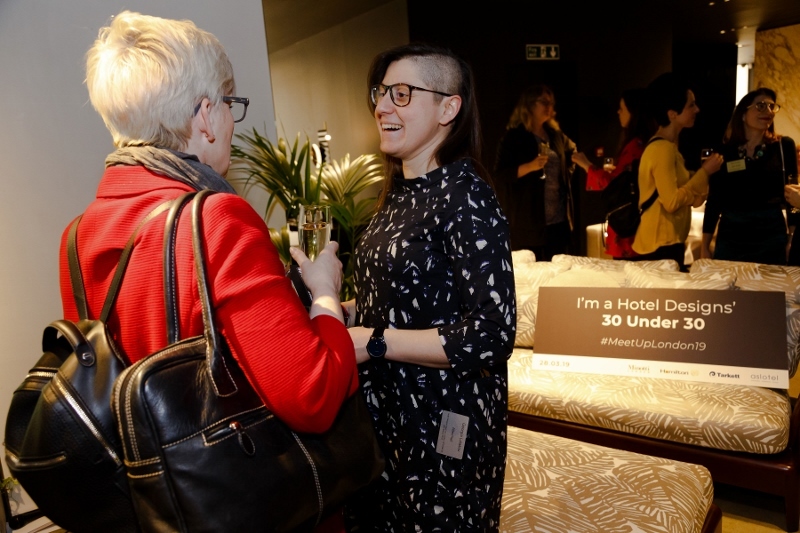 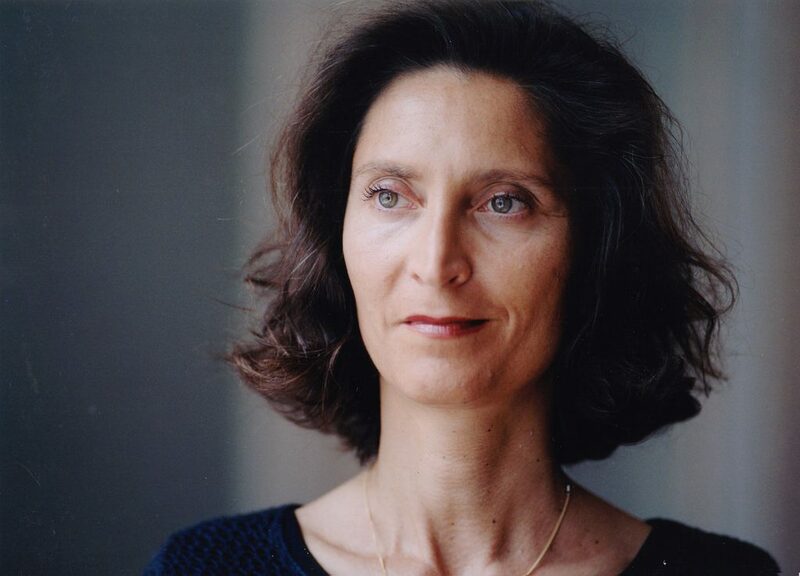 Recently interviewed for Hotel Designs following her dynamic display of her Sleep Set at last year’s Sleep + Eat event, Yasmine mahmoudieh has been rewarded many times for her creative and innovative designs and is a reference in her field. 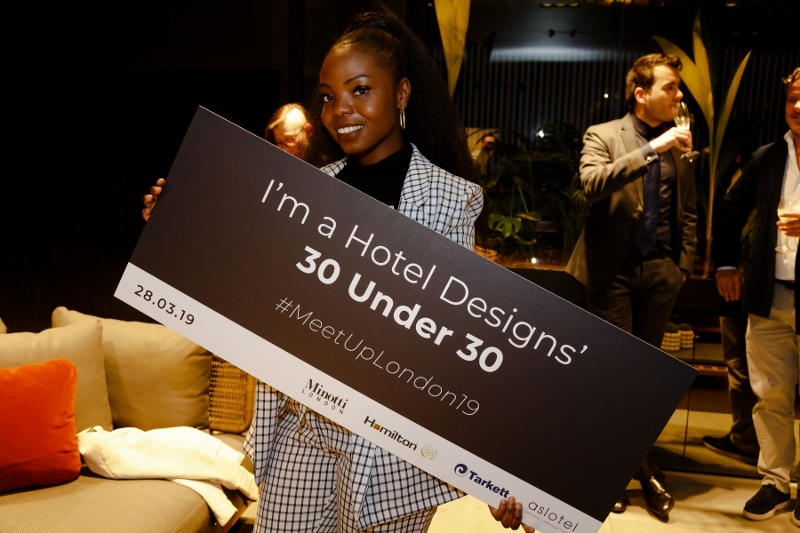 Her multiple talents and skills helped her throughout her entire career in order to live her passion for architecture, design and entrepreneurship. 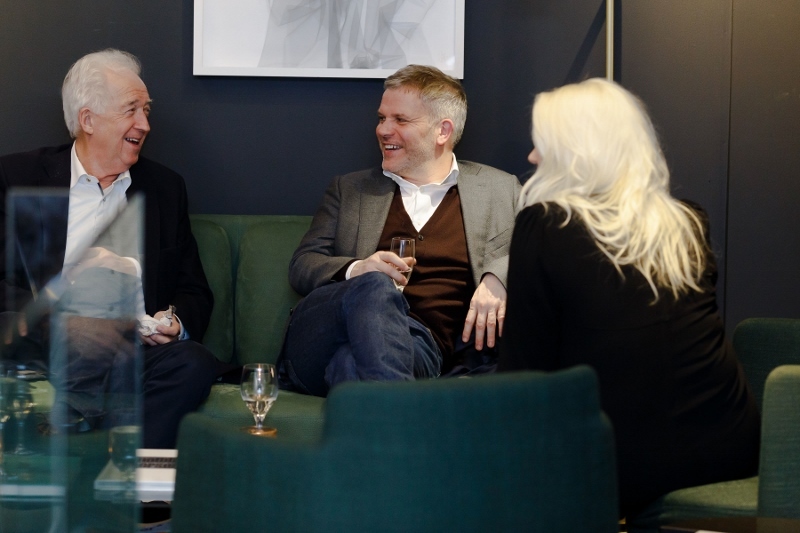 Charles Leon and Nicholas Black established Leon Black Architecture in 2014. 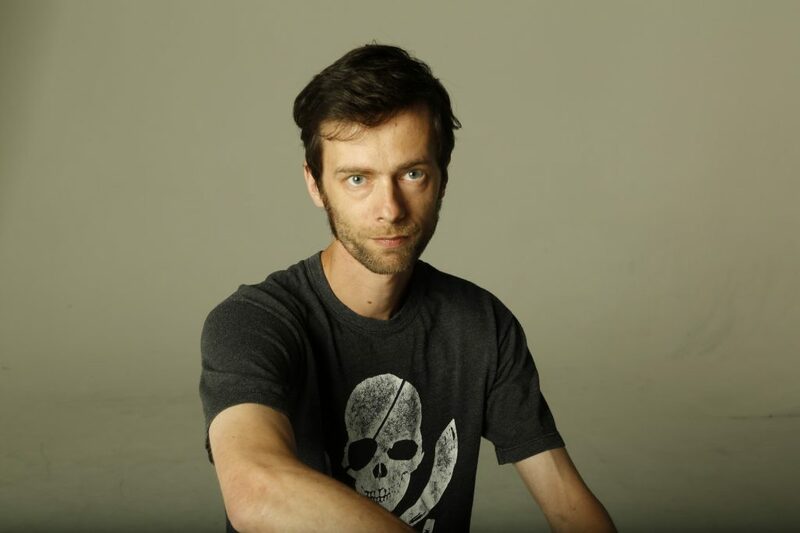 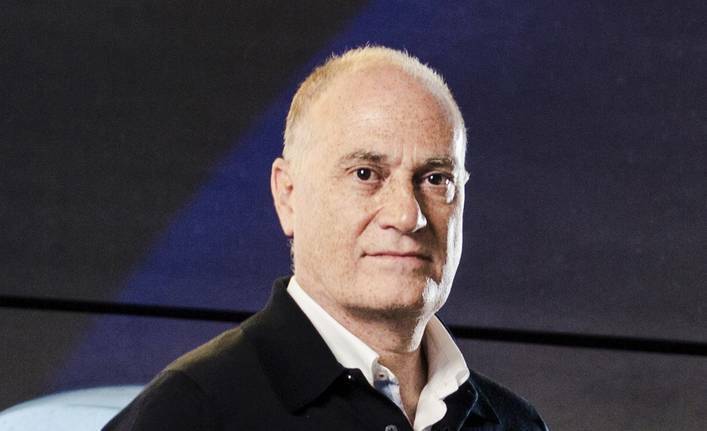 Since then, Leon has been asked to lead lectures internationally on interface between design theory, neuroscience, innovation, emotion and the workings of the designer’s mind. 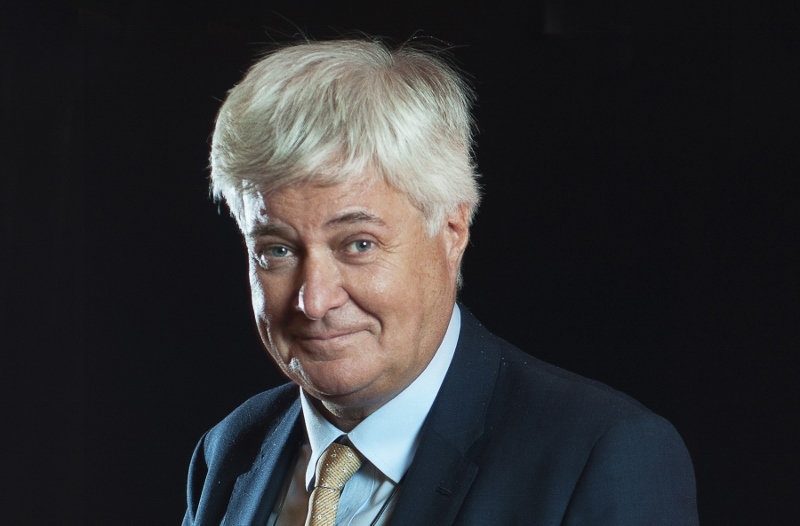 His talks blend neuroscience, design, economics, politics, philosophy, sociology and current affairs to provide a new, powerful and persuasive way of understanding how the mind works. 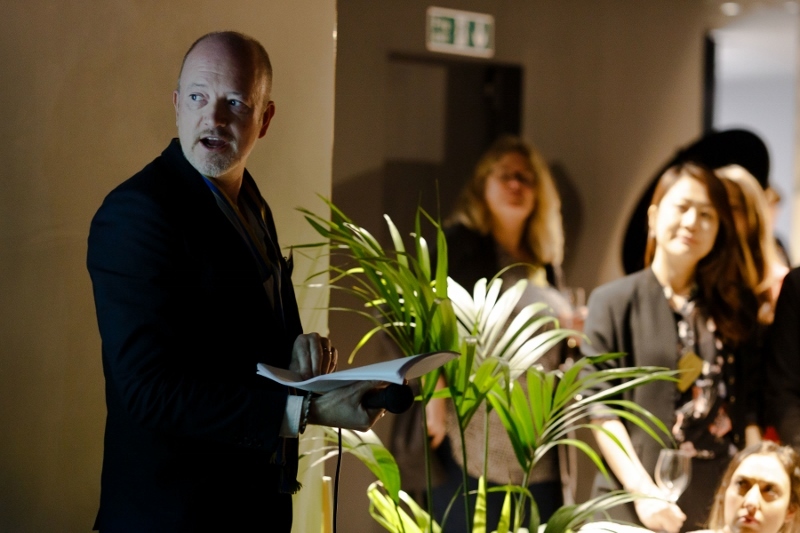 Leon is the Past President of the British Institute of Interior Design and also a guest lecturer at Middlesex University, KLC, Inchbald and The Interior Design School. 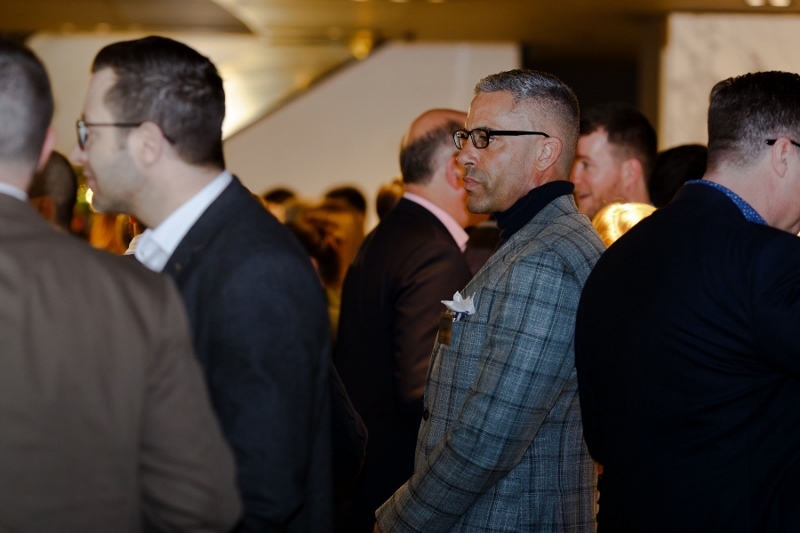 Speaking ahead of IDAS, Leon said: “In my opinion, innovation is an innately human quality that pushes us to constantly improve our wellbeing and our situation in life. 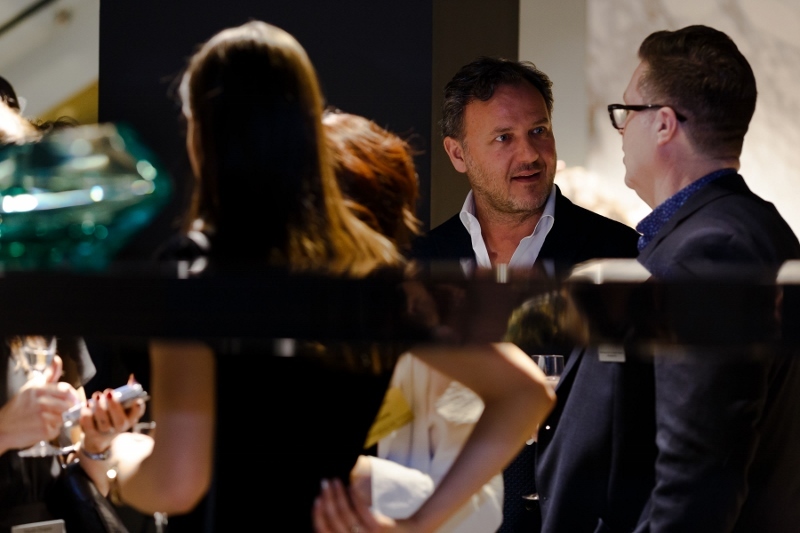 I am passionate about design, its role in innovation and its ability to transform the way people feel. 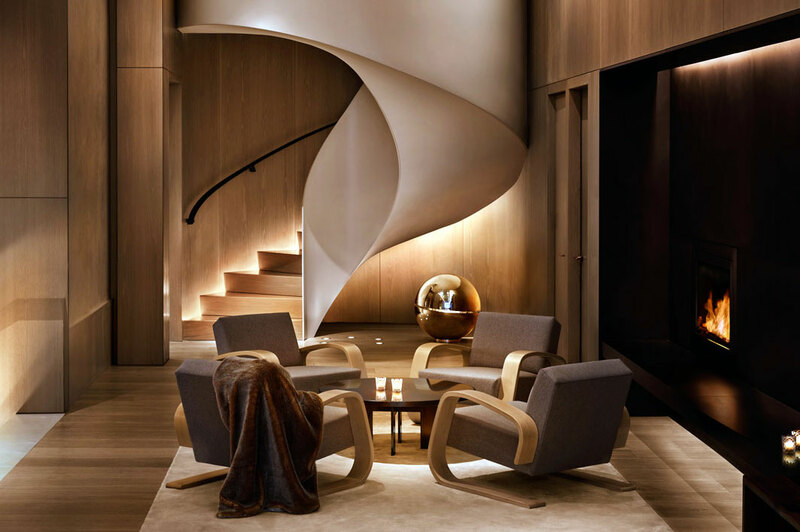 I am fascinated by the emotional, mental, environmental, social and political aspects involved in design. 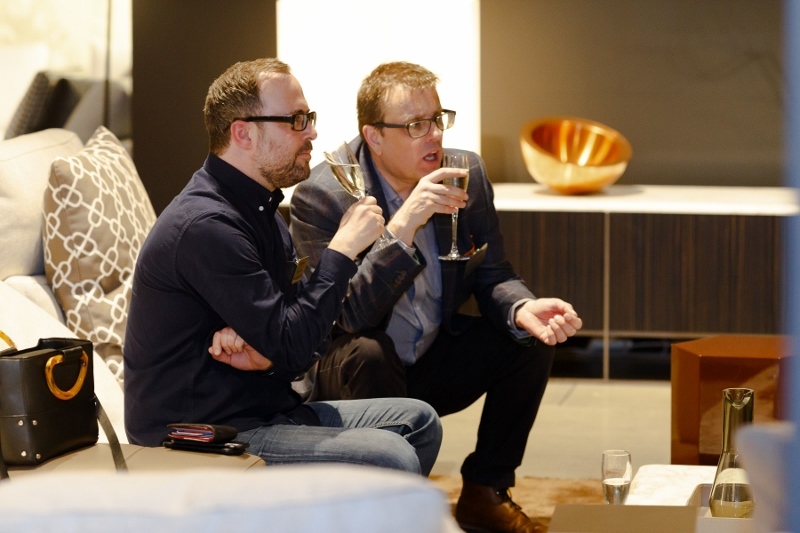 Designing is a leap of faith, a view of the future, that is condensed into an experience. 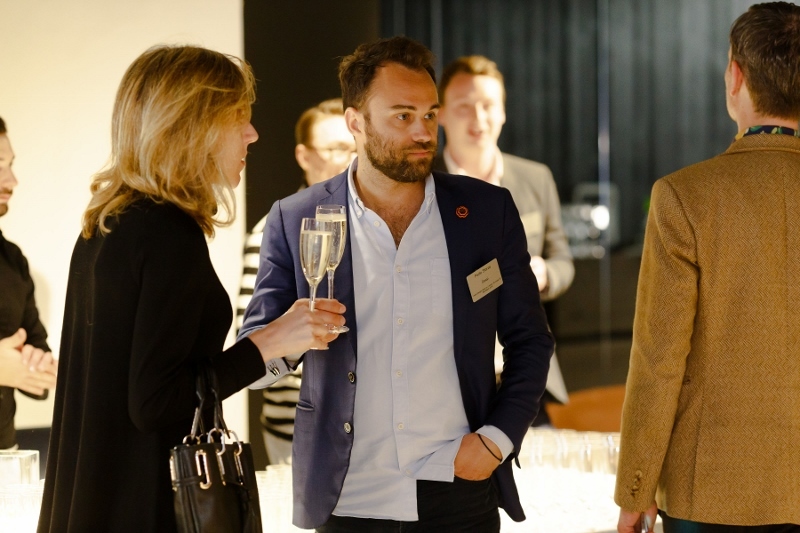 Designers and innovators are at the very core of this process”. 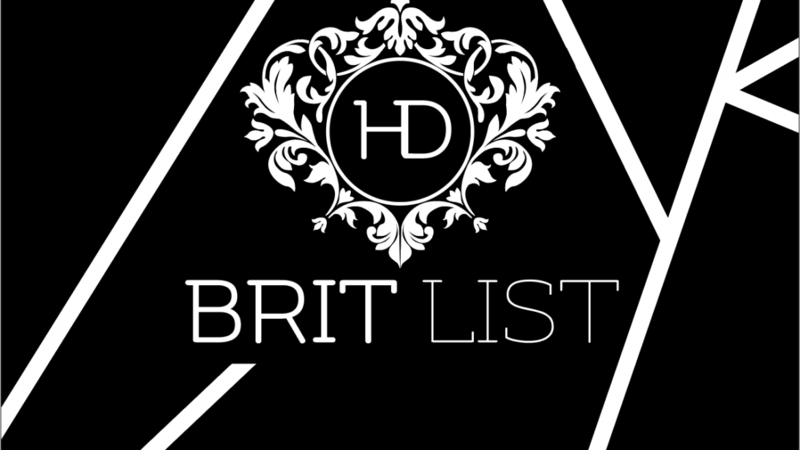 Robin Sheppard has been a hotelier for 40+ years winning many Hotel/Hotelier of the Year awards, including the Outstanding Contribution to the Hospitality Industry at The Brit List 2018. 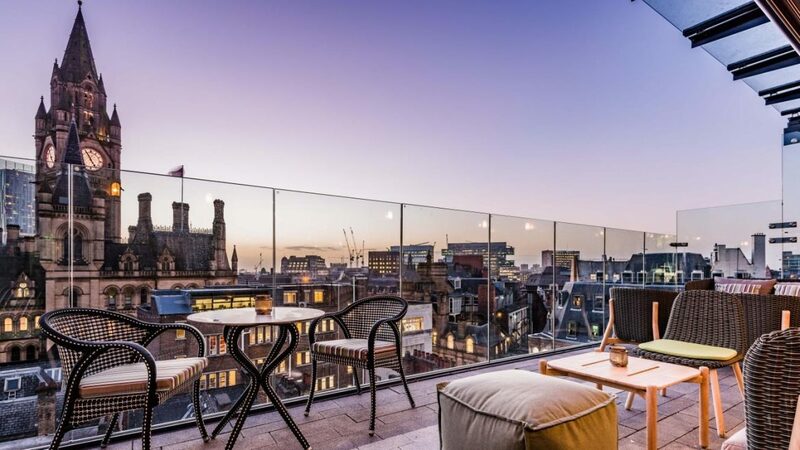 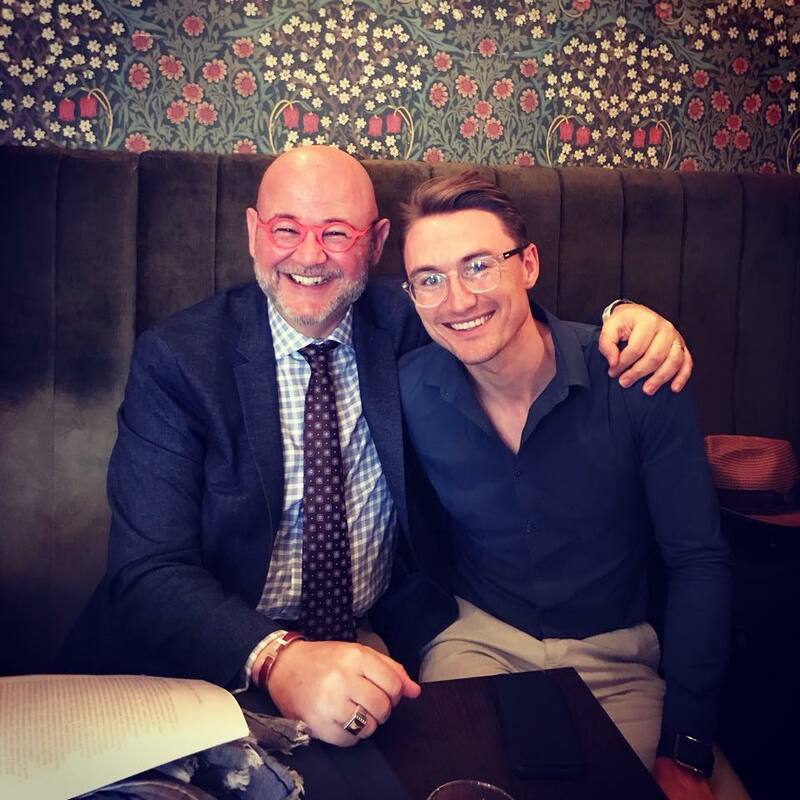 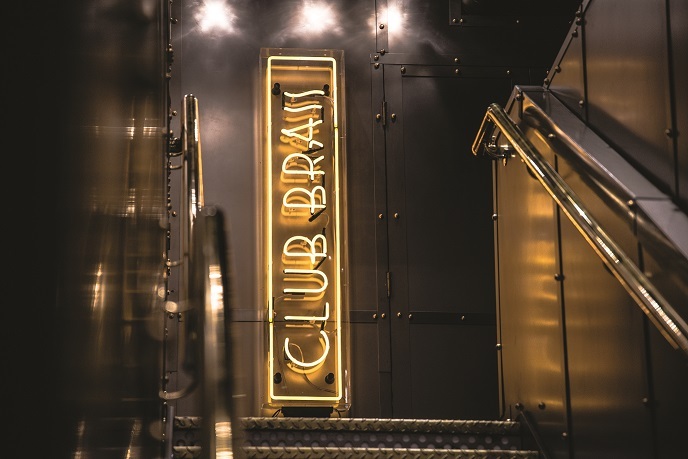 In 2000 he co-founded Bespoke Hotels, which has since grown into the UK’s latest independent hotel group with more than 220 properties, including the multi-award winning Hotel Gotham. 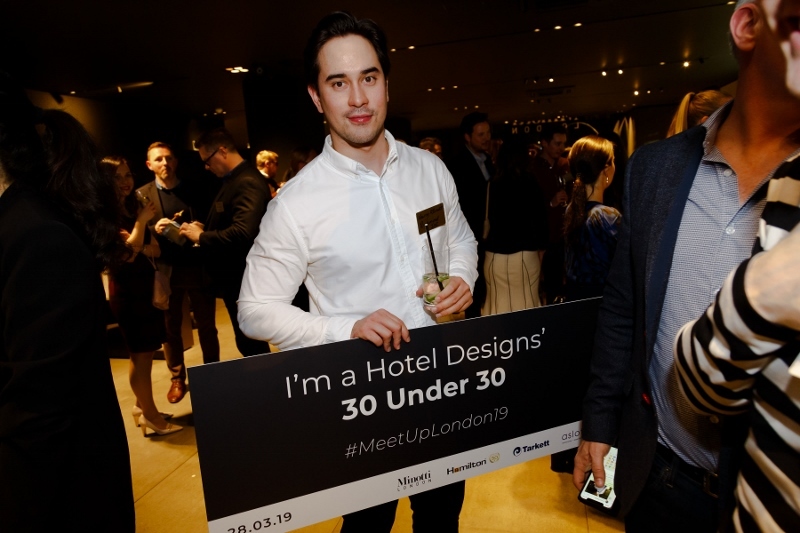 Most recently he won the Hotel Catey and the Oxford Brookes awards for Outstanding Contribution to the Hospitality Industry. 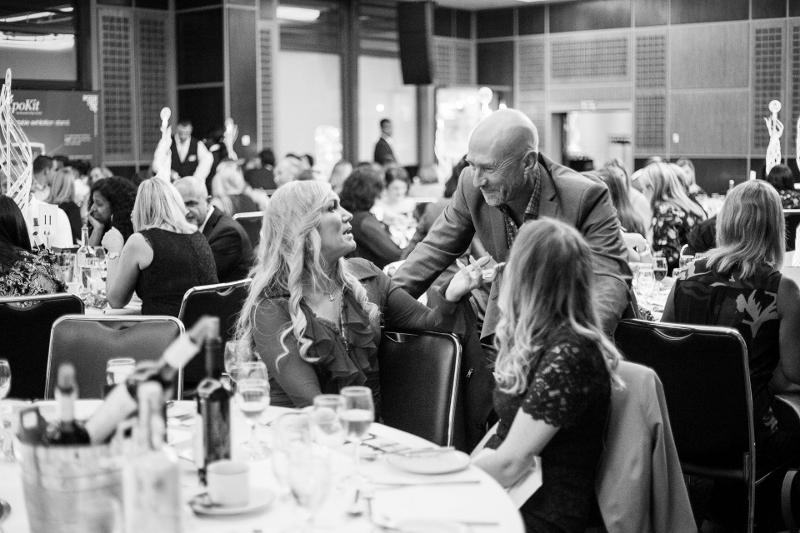 He is also Hotel Sector Champion for Disabled People. 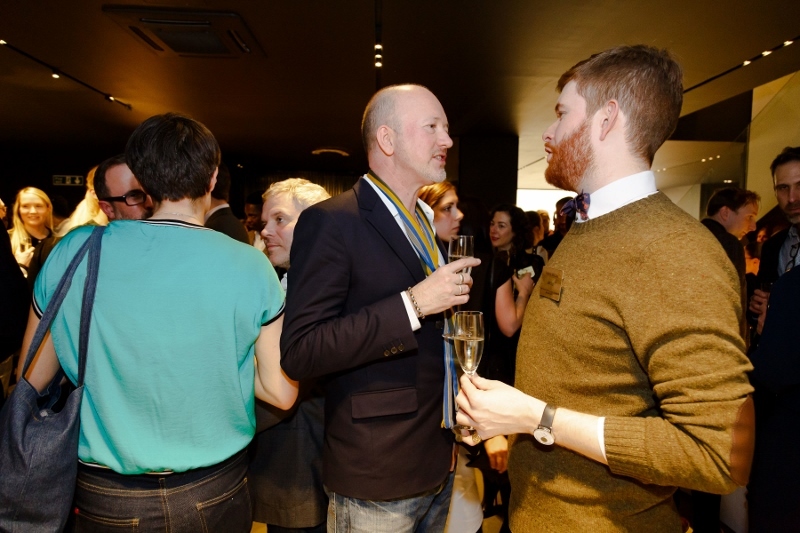 His greatest achievement, though, has been to fight back from GBS, a totally paralysing illness. 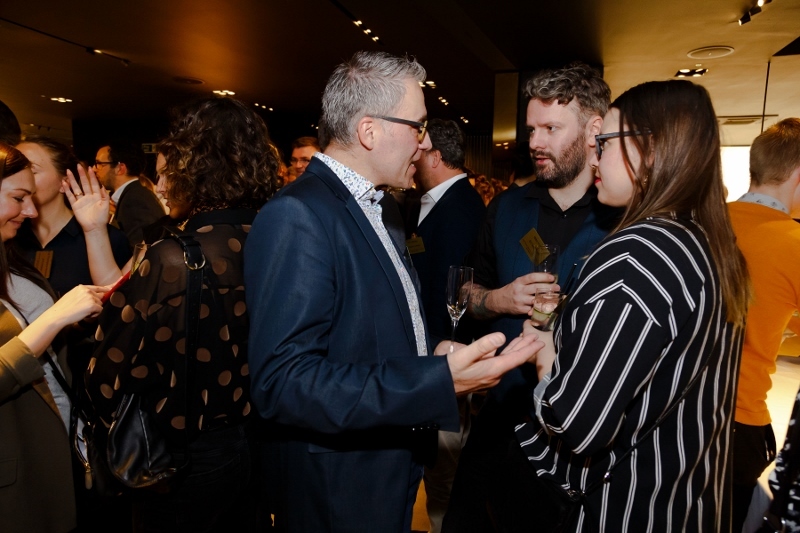 His relative recovery inspired him to launch the Bespoke Access Awards in conjunction with RIBA at the House of Lords encouraging better design and empathy from architects and interior designers. 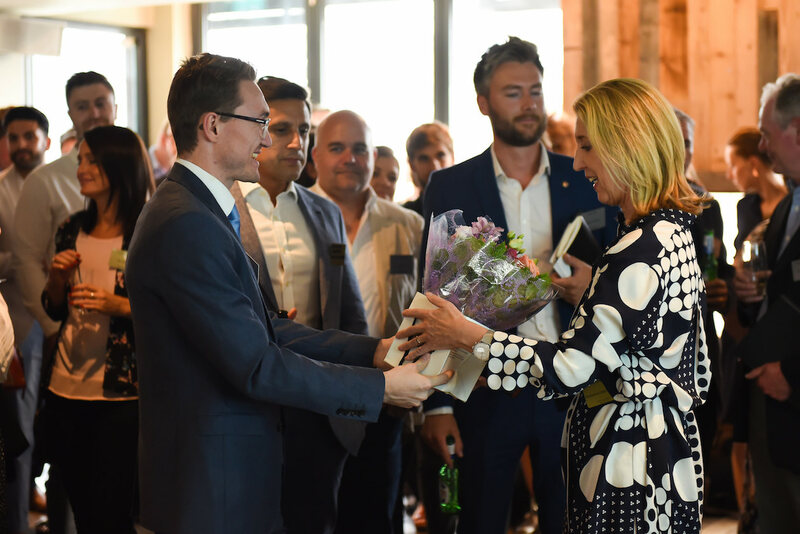 “Revolution is still in the air,” said Sheppard ahead of the event. 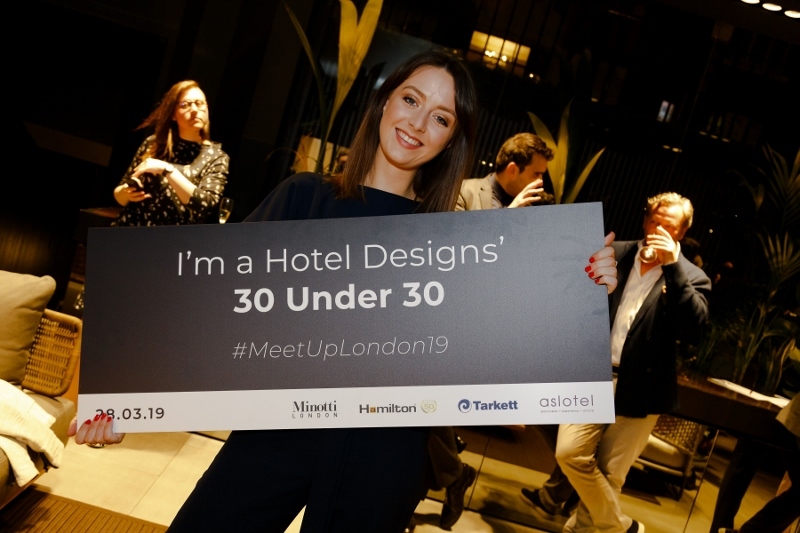 “The world of hotel design continues to be turned upside down and this debate promises to be close to the centre of this step-change”. 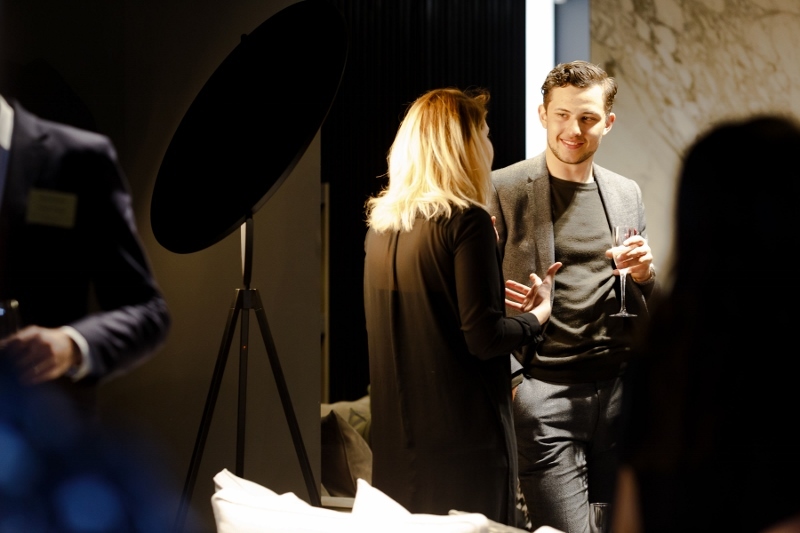 Moritz Waldemeyer Studio, which is owned by internationally renowned lighting artist Moritz Waldemeyer who recently exhibited an immersive installation at this year’s London Design Festival, occupies a diverse range of creative spaces, from art and product design through to fashion and entertainment. 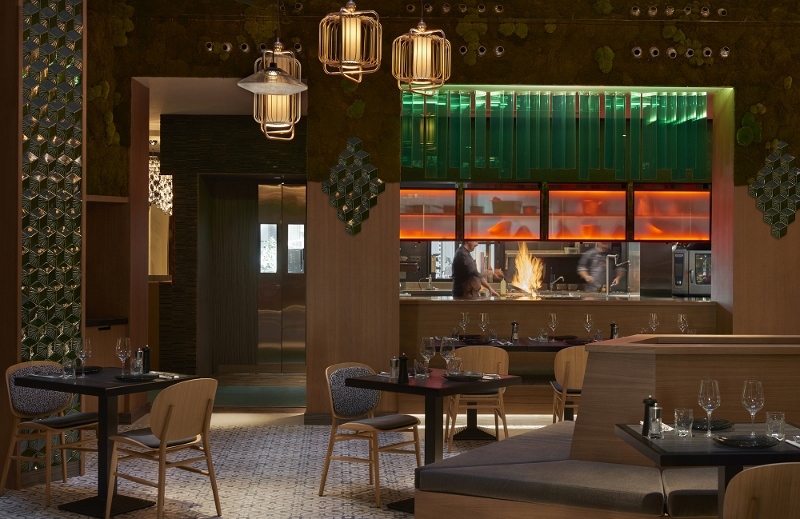 One of Hotel Designs’ recommended suppliers in the lighting category, Moritz Waldemeyer Studio‘s creative flair has led the designer to work with large celebrity profiles as well as international hotels. 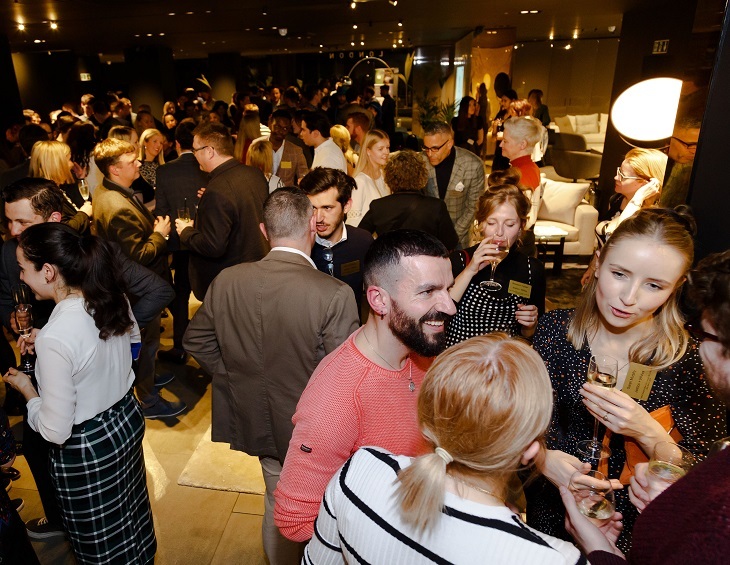 The Hotel Designs Christmas Meet Up networking event on 8th November (6pm-10pm) at Home House Portman Square in London has now sold out. 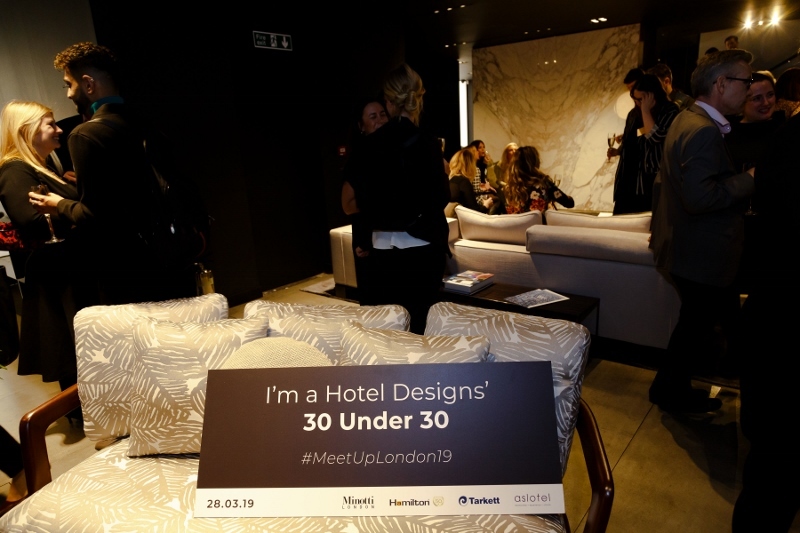 Hotel Designs is delighted to announce Marca Corona as headline sponsor of the event, while Boca do Lobo are the event’s style partner – the first time the opportunity has been offered, Boca do Lobo will be responsible for designing the interiors of the Winter Marquee for the event. 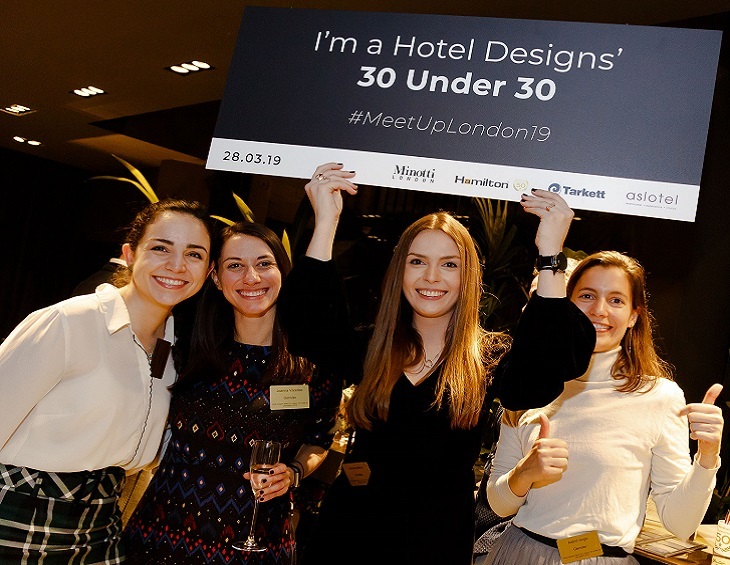 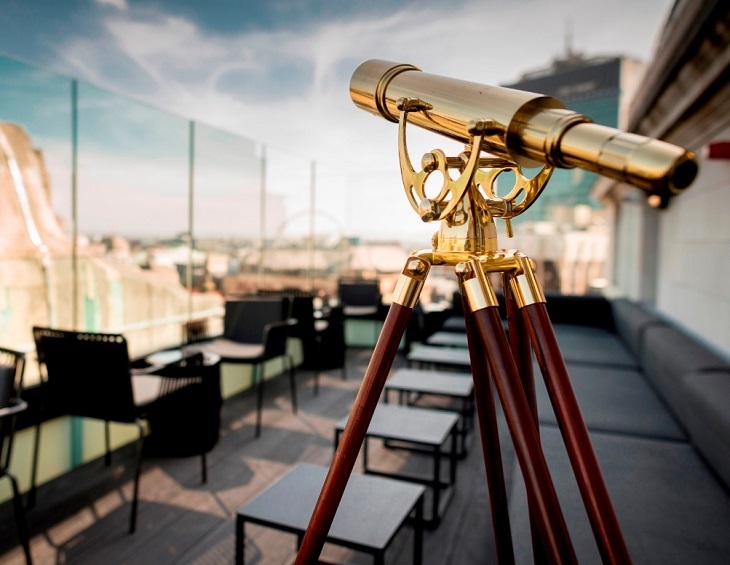 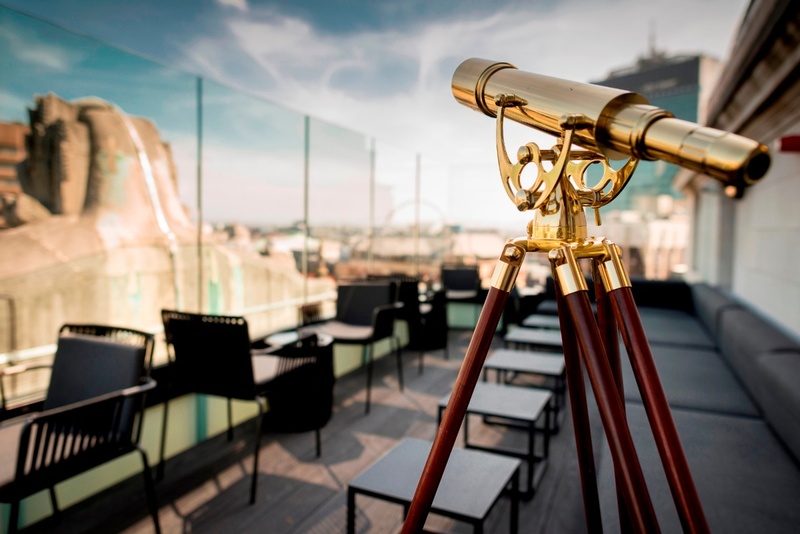 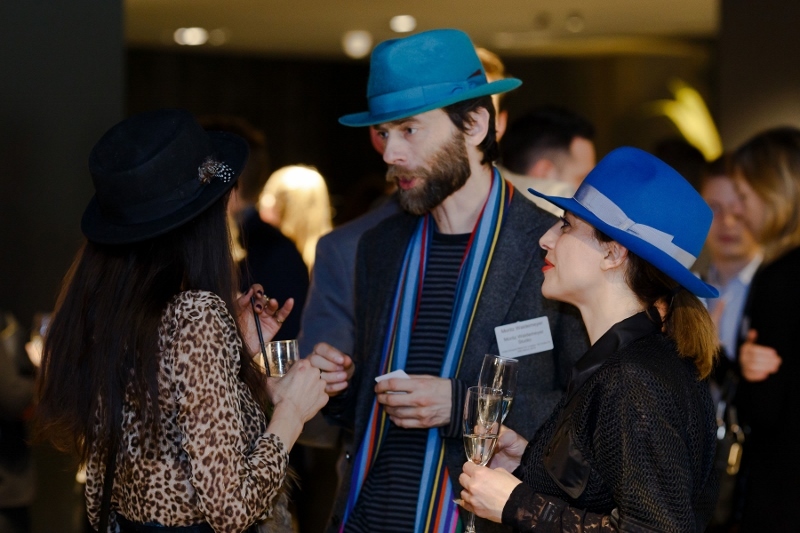 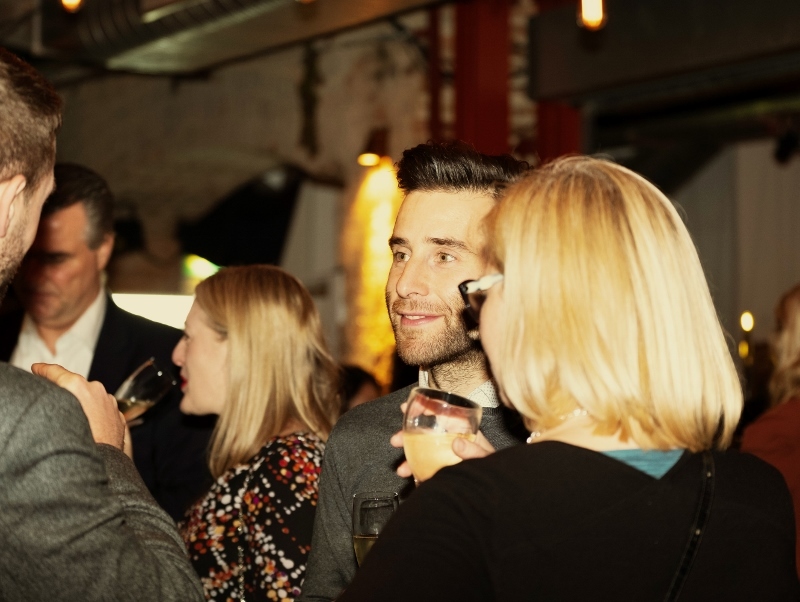 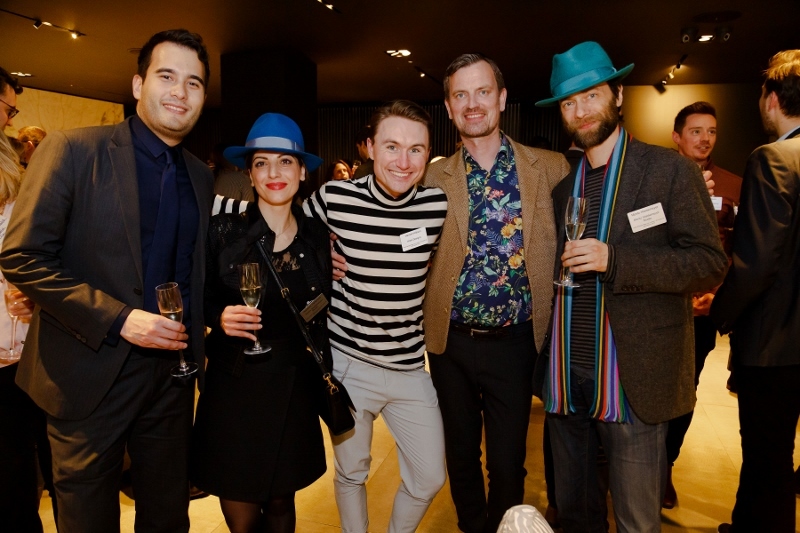 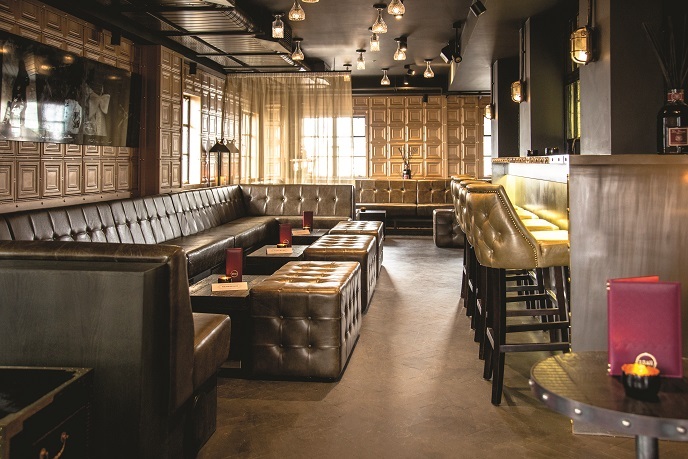 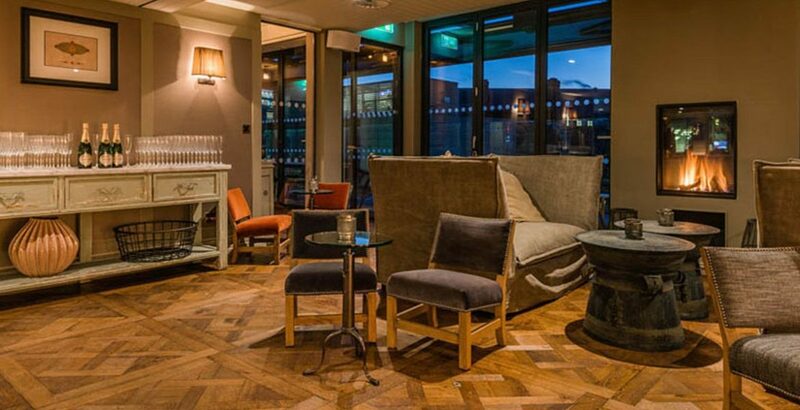 The event will see some biggest names in the UK hotel and design industries for an evening of drinks, canapes and an end-of-year celebration. 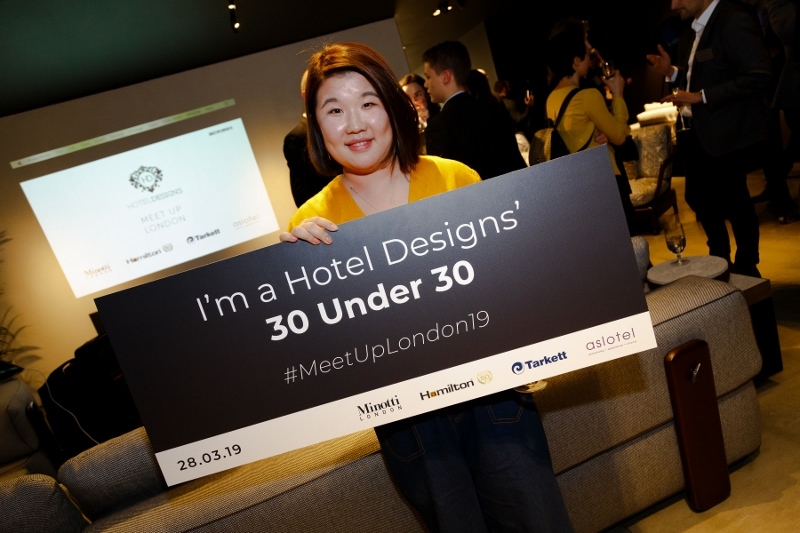 The attendee list includes Marriott International, Shangri-La at The Shard, Rosewood London, York & Albany Hotel and The Wellesley Knightsbridge. 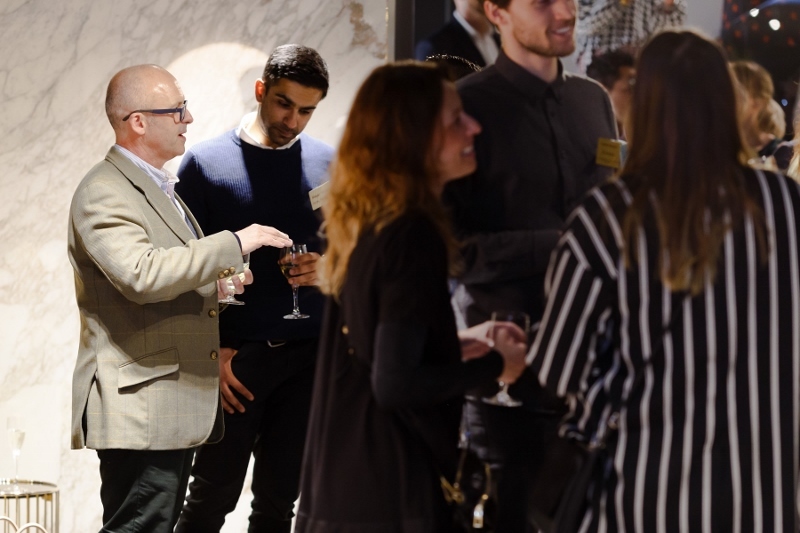 And from the design world, we are pleased to announce Twenty2Degrees, Areen Design, Atelier Lux and inD Creations, Design Clarity, Milan Babic Architects, Harrier Forde Design, Hendry Associates Architects and ReardonSmith. 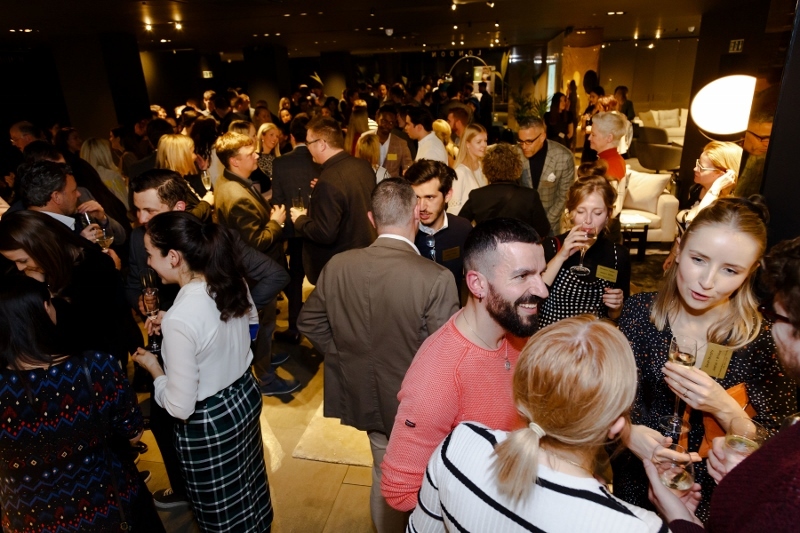 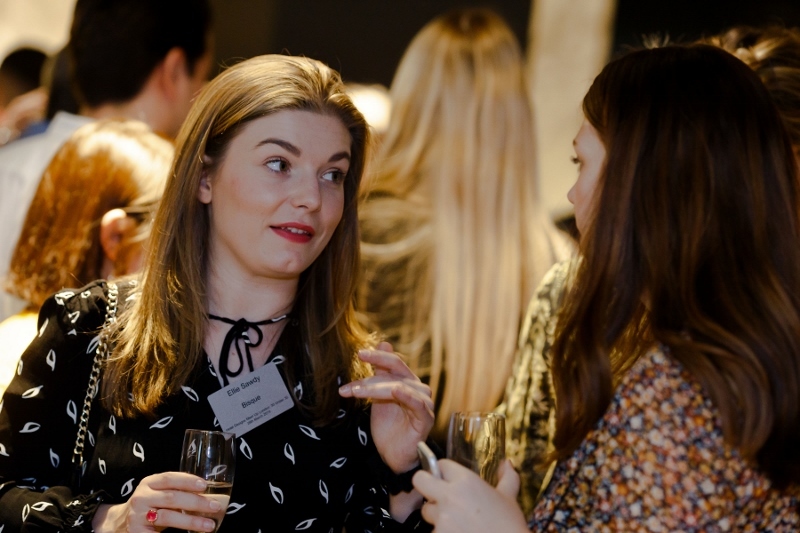 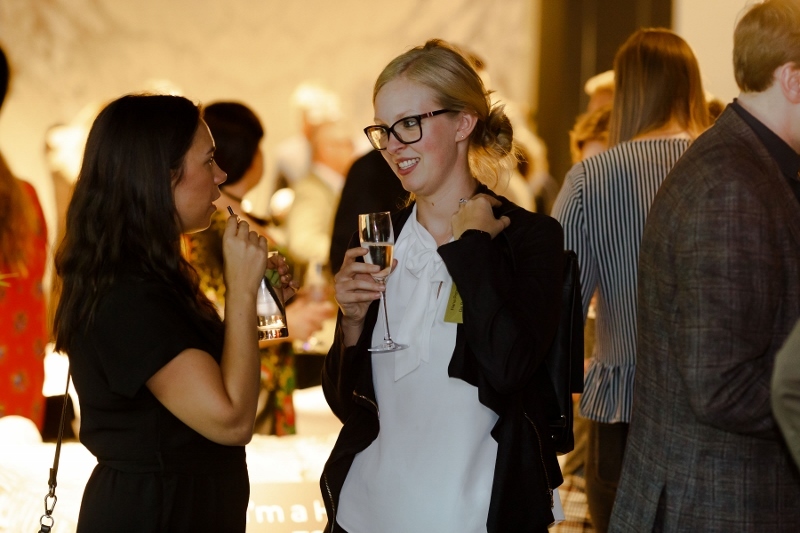 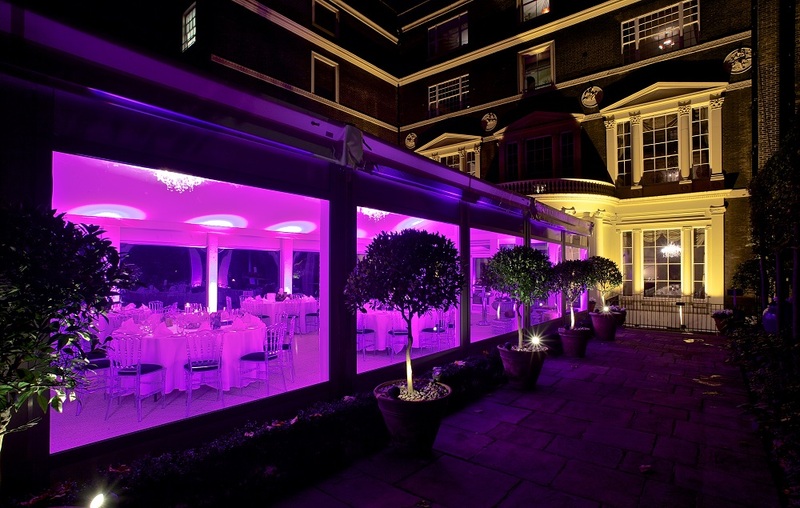 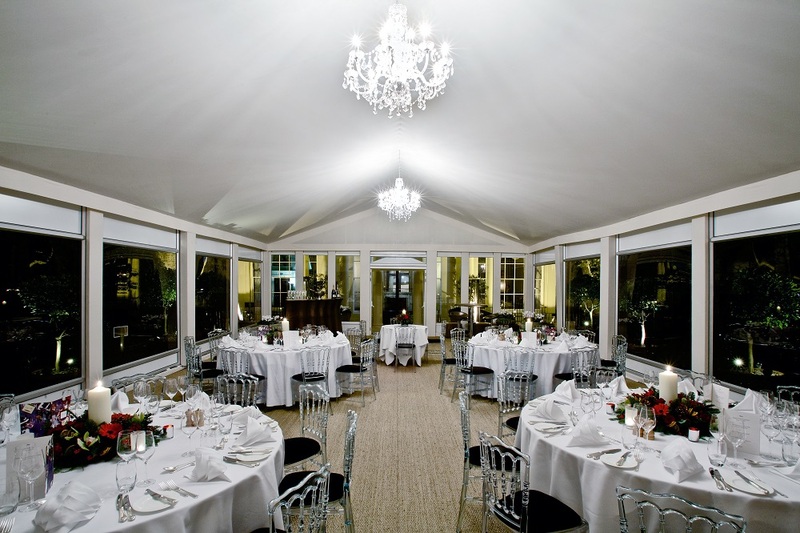 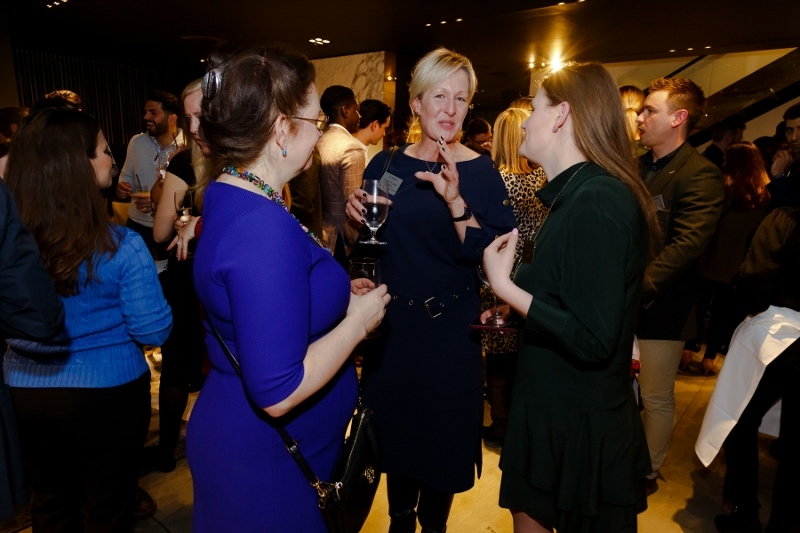 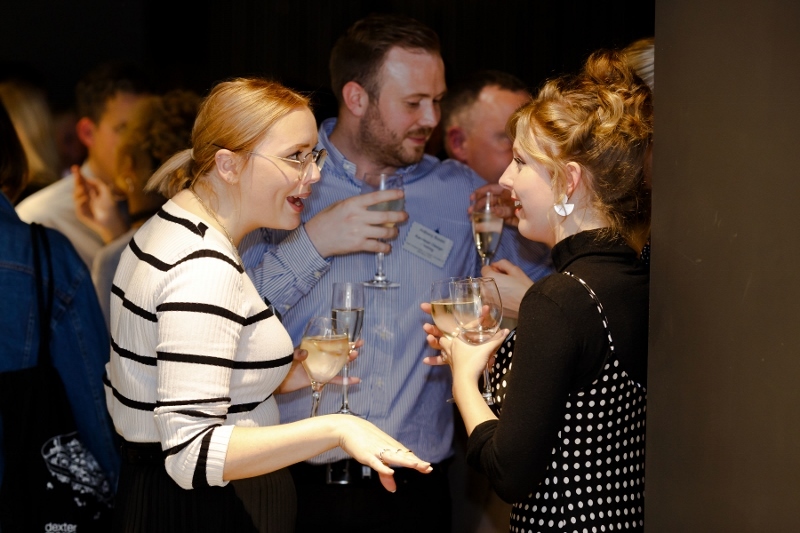 We’re just two weeks from the Hotel Designs Christmas Meet Up networking event, being held on 8th November at the Home House, Portman Square in London between 6pm-10pm. 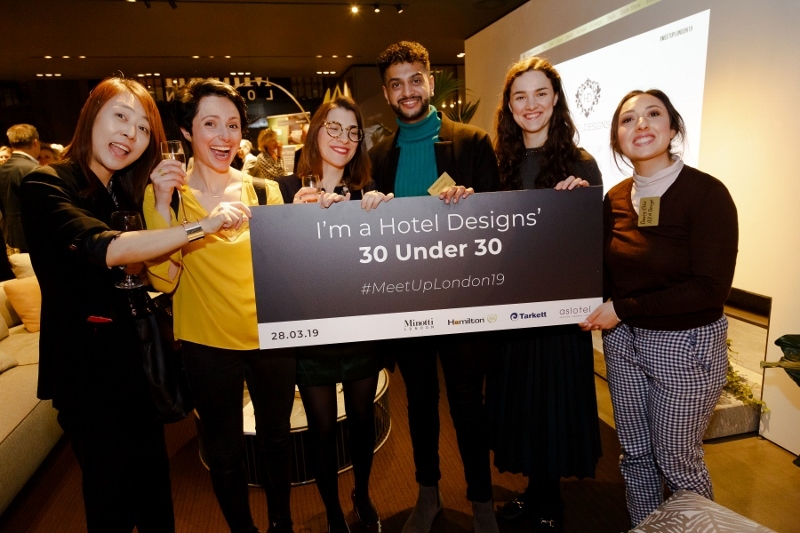 Already signed up for this festive edition are senior designers from Marriott International, Shangri-La at The Shard, Rosewood London, York & Albany Hotel and The Wellesley Knightsbridge; representatives from the design industry confirmed to attend include Twenty2Degrees, Areen Design, Atelier Lux and inD Creations. 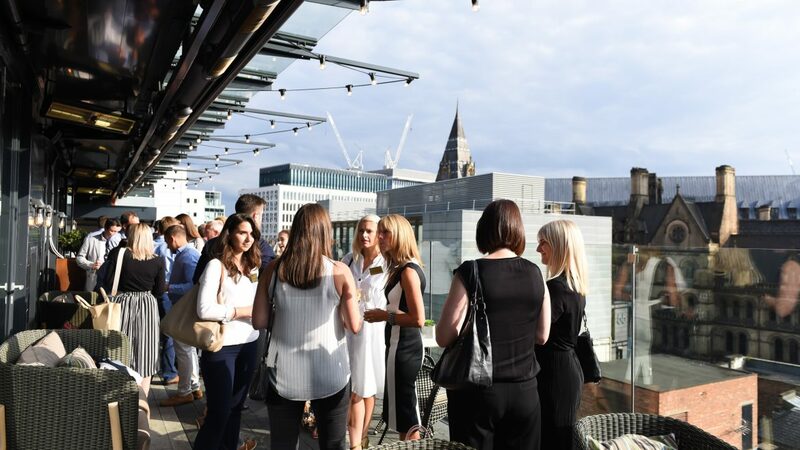 We are now pleased to announce Bermondsey Square Hotel, InterContinental, The Montcalm and The Montague on the Gardens Hotel will also be in attendance. 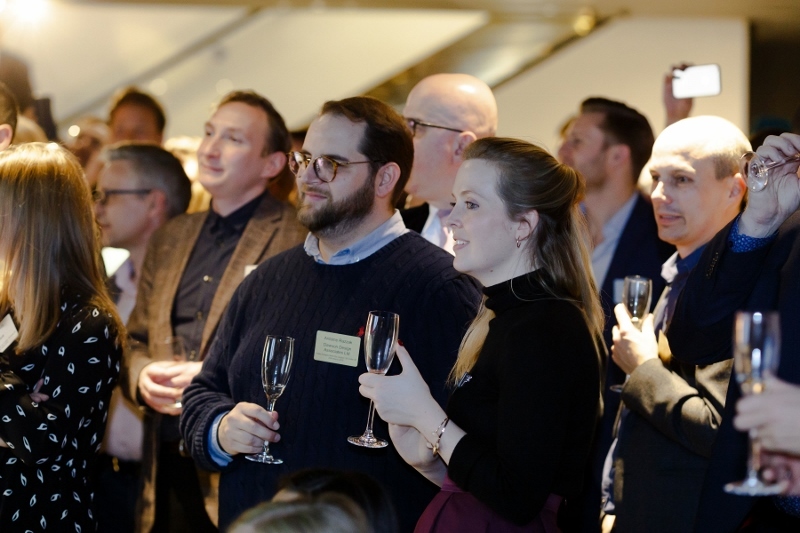 Plus we can now announce Design Clarity, Milan Babic Architects, Harrier Forde Design, Hendry Associates Architects and ReardonSmith. 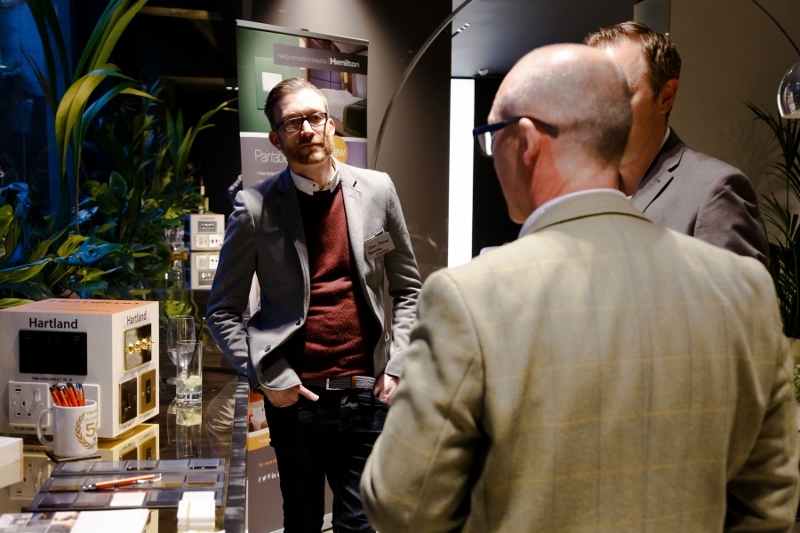 Meanwhile, AT&C Professional Systems have been confirmed as Showcase Sponsors at the event. 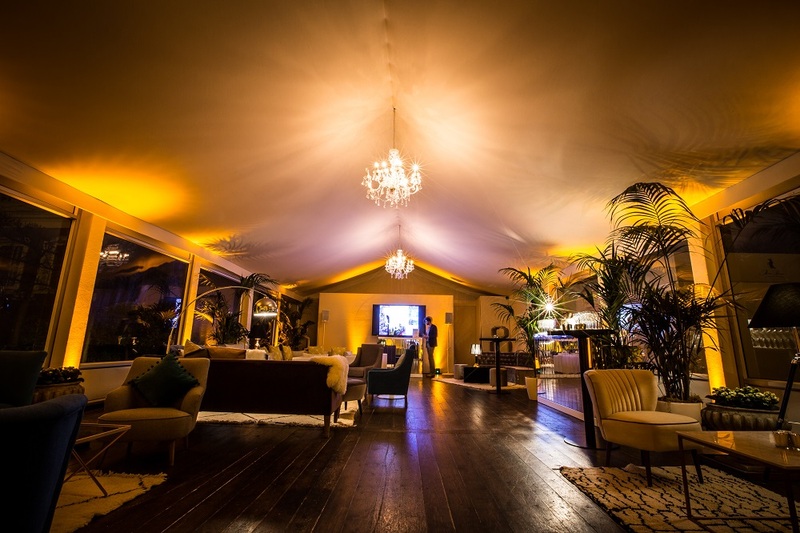 One of the UK’s leading audio visual technology integrators, AT&C will be displaying during the event. 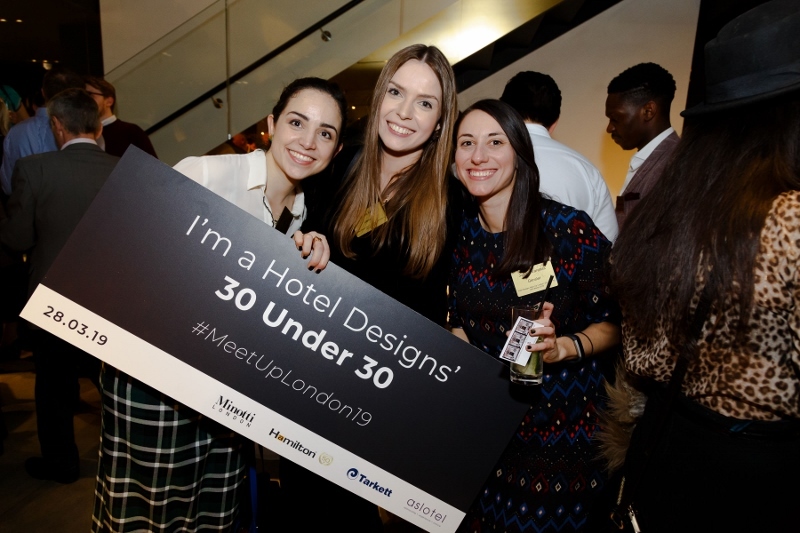 Having a unique position at the heart of the industry, Hotel Designs can build events like the Christmas Meet Up that deliver targeted audiences for its partners’ trade messages.